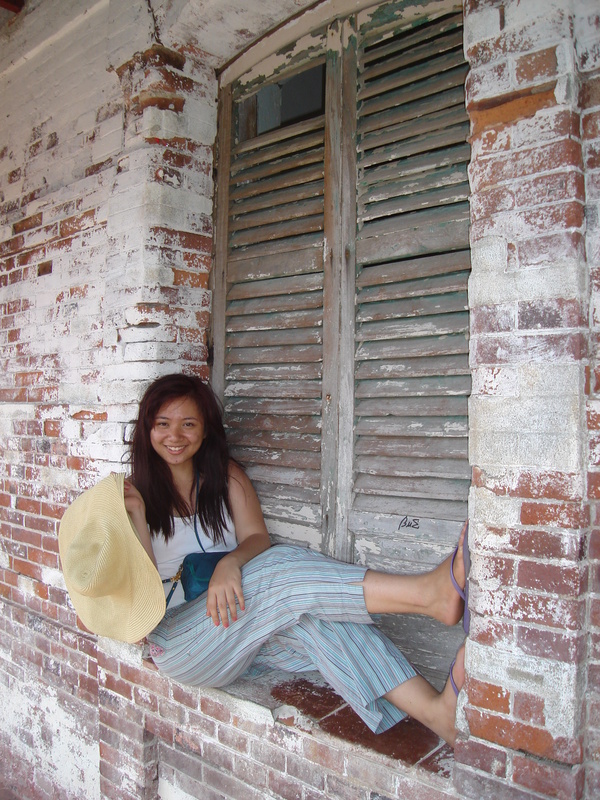 Unemployment got me bumming it out that I almost forgot that I have the rest of our trip to immortalize in my blog. I do admit that I love having no worries (most days), although I still wake up early to go either jogging or biking which I never really had the chance to do the past years. 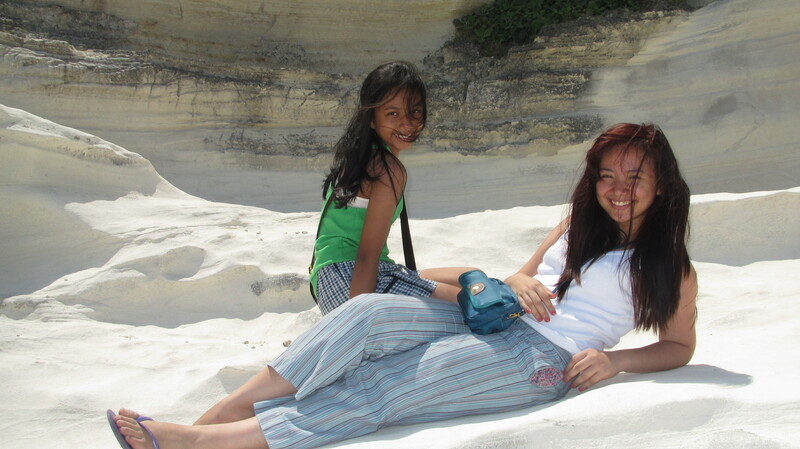 Moving on, we woke up early after passing out on our beds due to exhaustion. 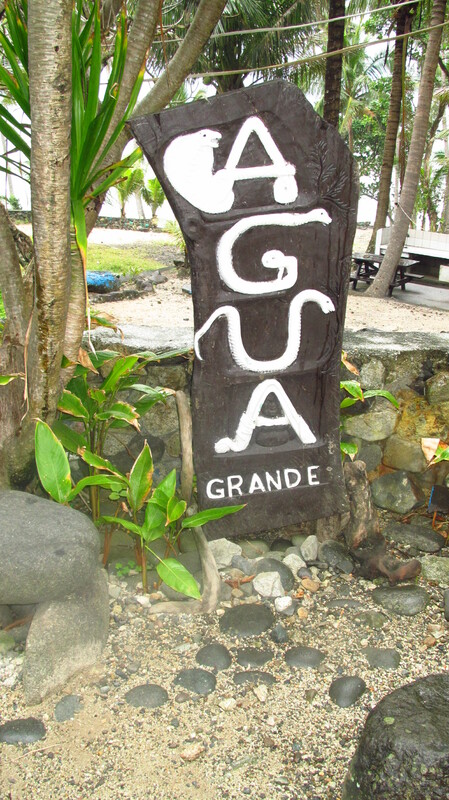 Our two-day Pagudpud tour had to start early since we were going to do it all in one day. 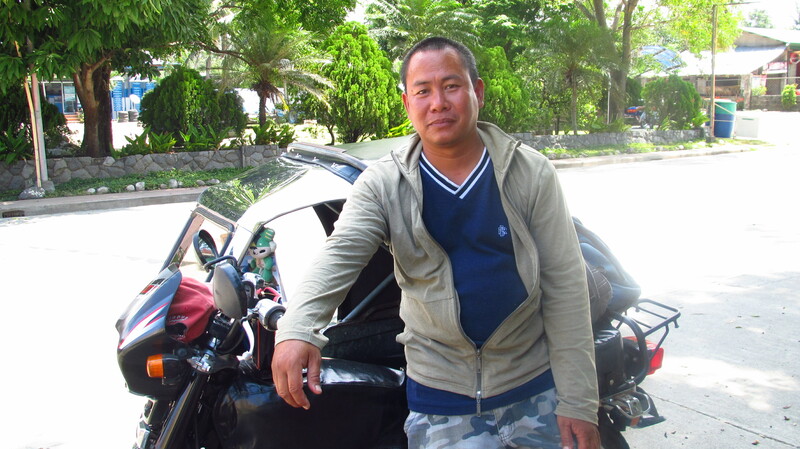 Meet Mang Rene (Rene Calivoso, 0920-853-2047), our tour guide-slash-tricycle driver extraordinaire. 🙂 We actually had to “rent” two tricycles since there were five of us. 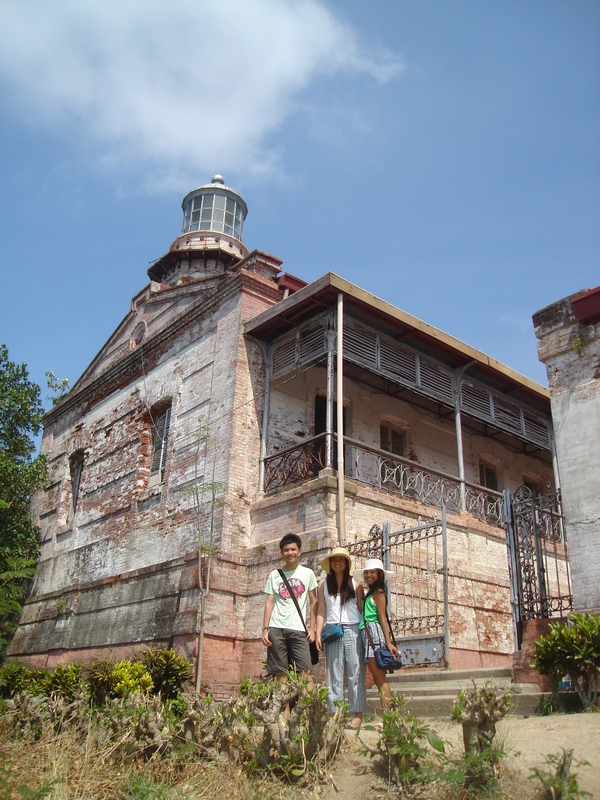 Tristan and I were Mang Rene’s passengers while the parents and Tin rode with Mang Windel. 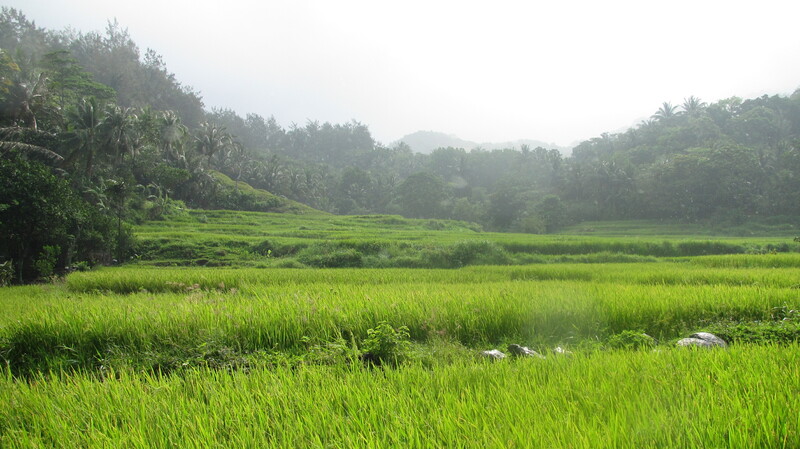 We found it much more convenient to have a tricycle tour with Mang Rene since it meant that we didn’t really have to make an itinerary and they know how to go from place to place. We did make a list of places of interest, but their “insider” knowledge provided us with more. 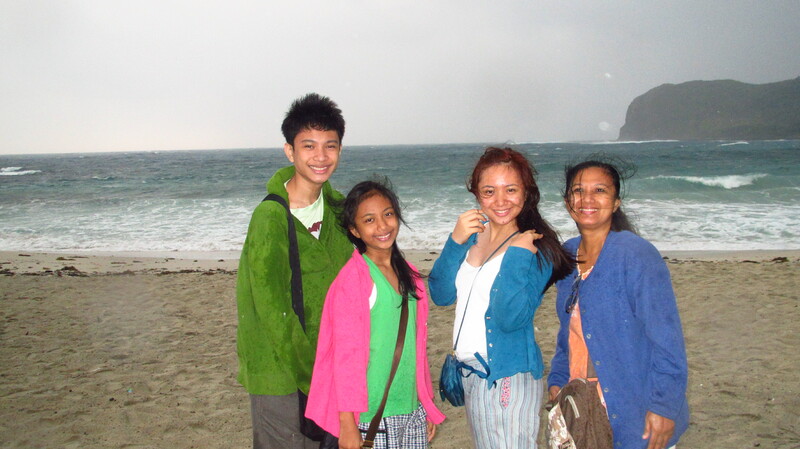 The sky was dull and it was starting to drizzle when we went out which was a complete contrast to the sunny days prior to our Pagudpud tour. However, we still pushed the tour through. 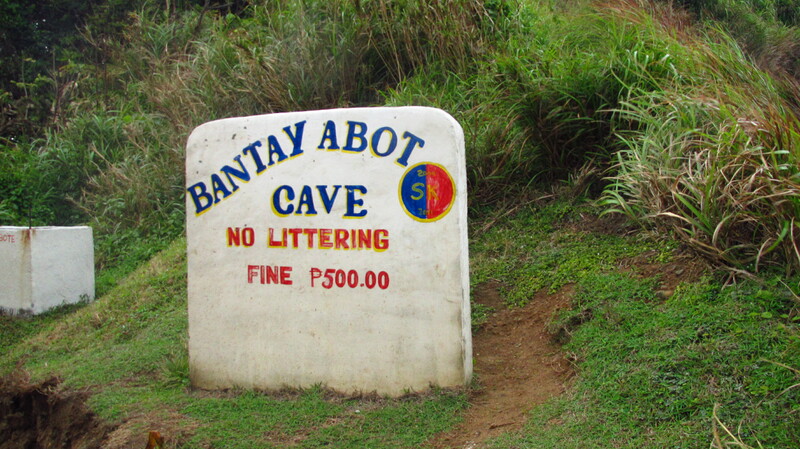 Our first stop was Bantay Abot Cave. 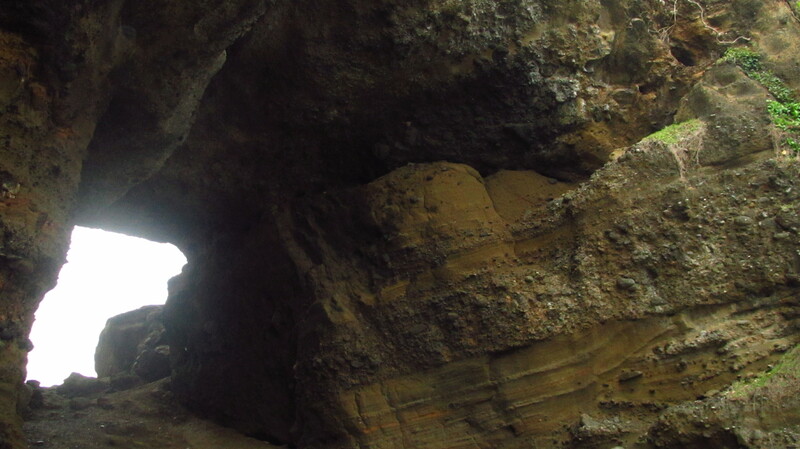 It is a “cave” situated where sea waves crash into a rocky wall. 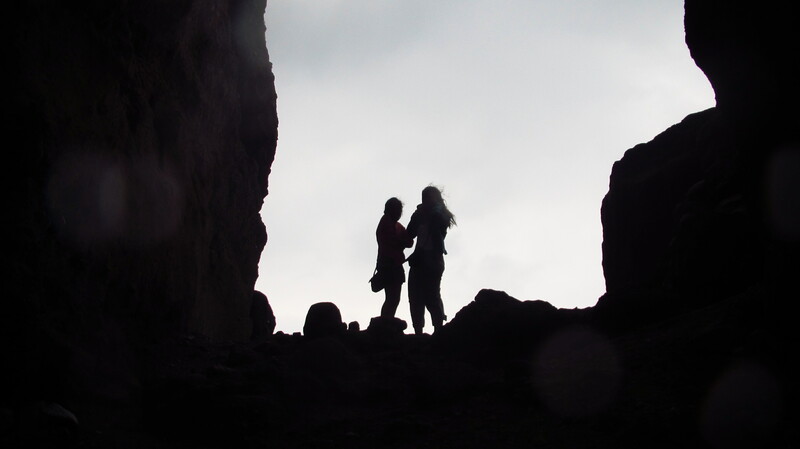 When a cave is described to be in this kind of setting, the first image that comes to mind is the cave where Voldemort hid the locket horcrux. Haha! It was a gray morning. 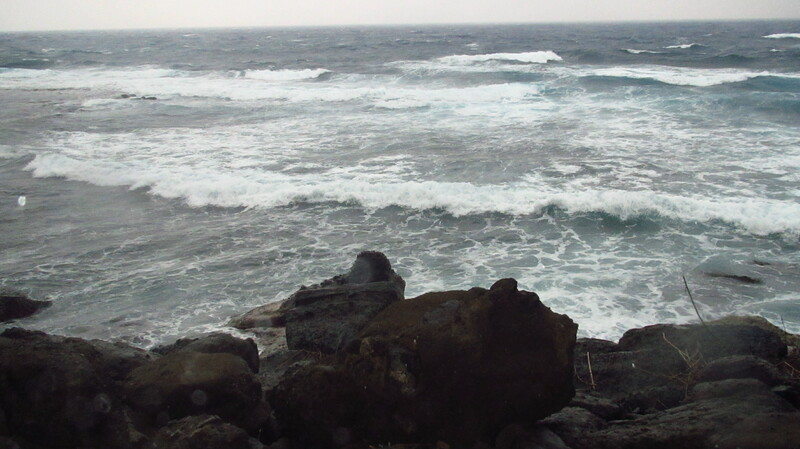 See that rocky path, wet from the rain and huge waves from the sea? 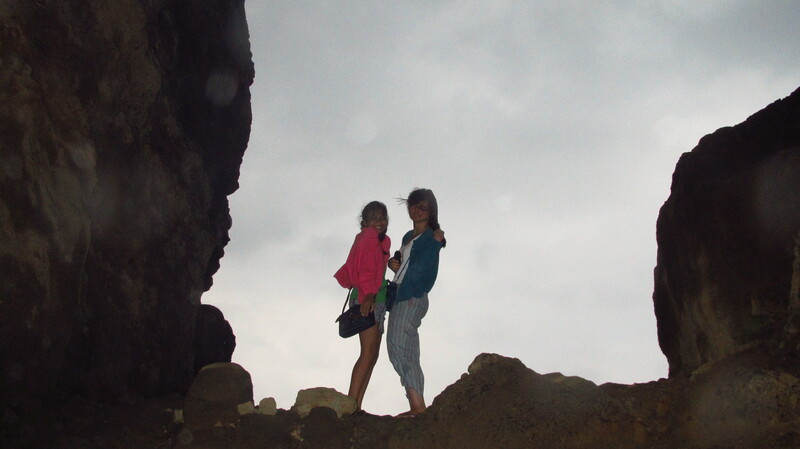 That is where you have to walk to reach the cave. I actually thought that we’d only take photos from where the tricycles are parked but it turns out that we had to go down for it. 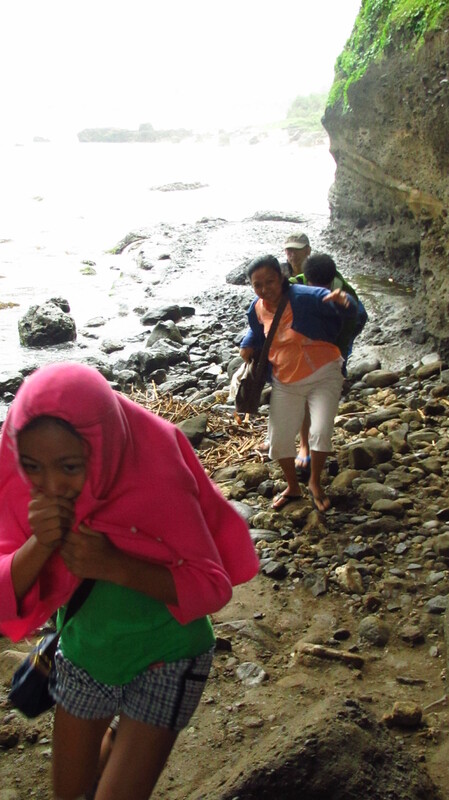 Mang Rene guided us towards the cave as Mang Windel stayed with both the tricycles and our things. My knees were wobbly while going down the stairs, and all I could focus on is not slipping on the wet cement. 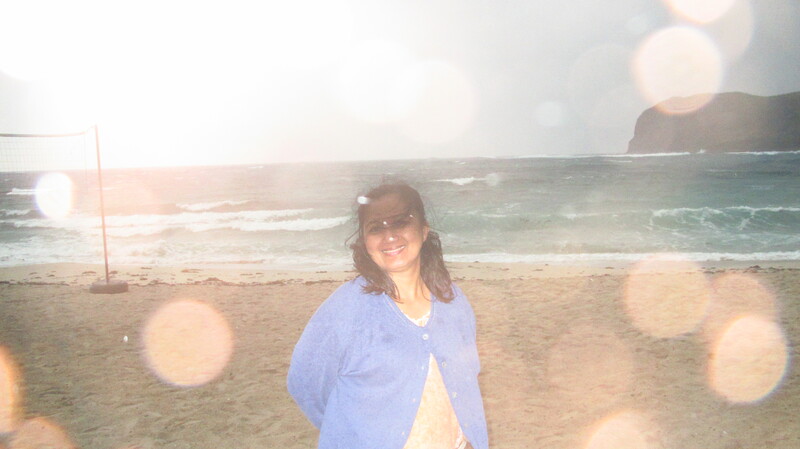 I felt like I was in a movie, with rain drops constantly hitting my face while walking on a rocky shore. 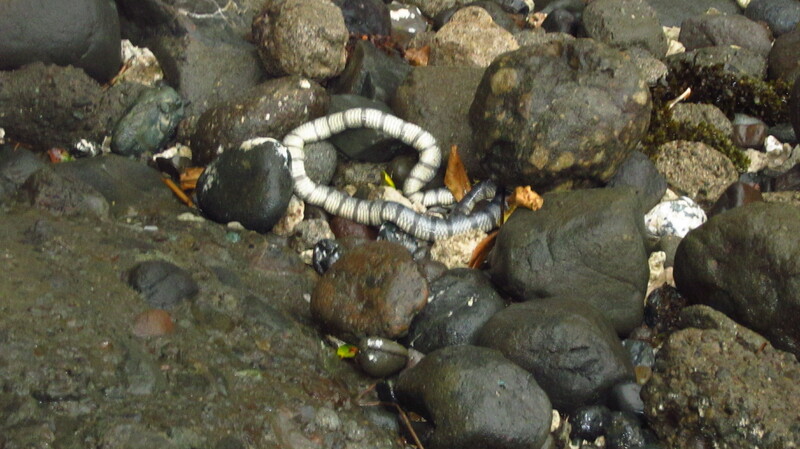 And to make it more movie-like, we found a sea snake nesting among the rocks. 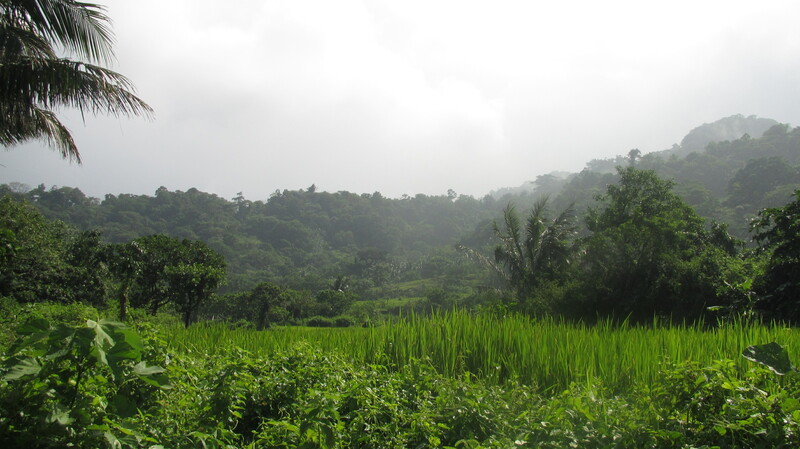 Mang Rene flung it away using a long wooden stick. Great. Aside from worrying about slipping and hitting my head, I need to think of sea snakes coiling their slimy bodies on my legs when waves hit the shore. We were mostly worried about mom. She had a reputation in slipping on flat surfaces, and she almost did. Fortunately, someone got a hold of her. 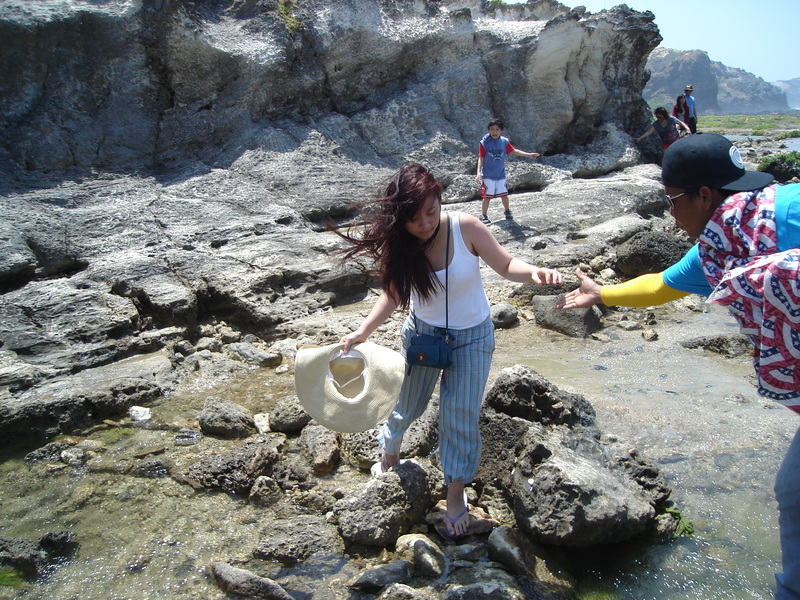 Tin and I were the fastest to traverse along the shore and reach the “cave”. 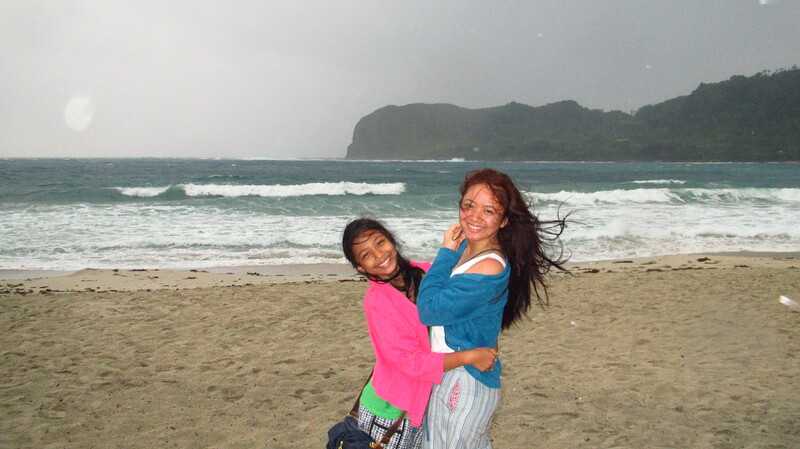 The wind got my hair whipping on my face, along with raindrops falling from the sky. 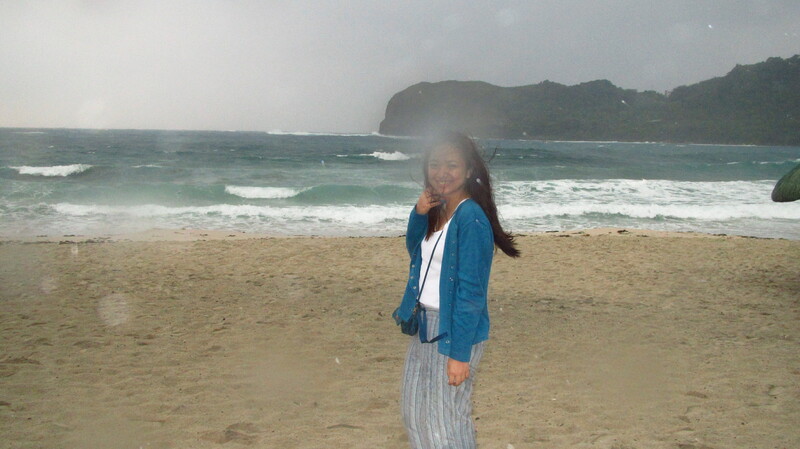 My first time to go to a “beach” wearing a cardigan. 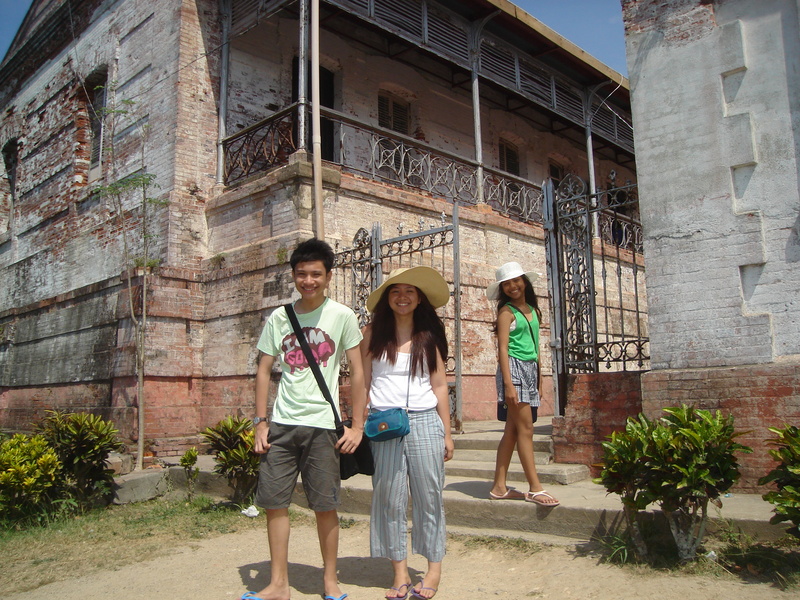 Mang Rene volunteered to take photos of us and guided us on where to stand. 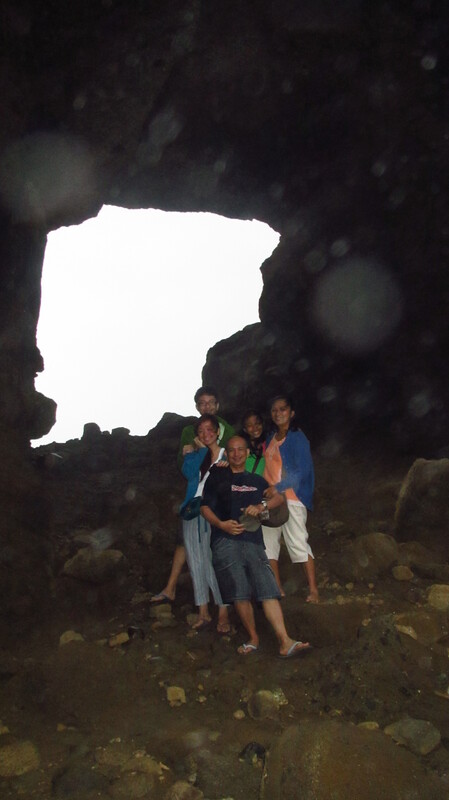 After Bantay Abot Cave, we proceeded to Blue Lagoon. 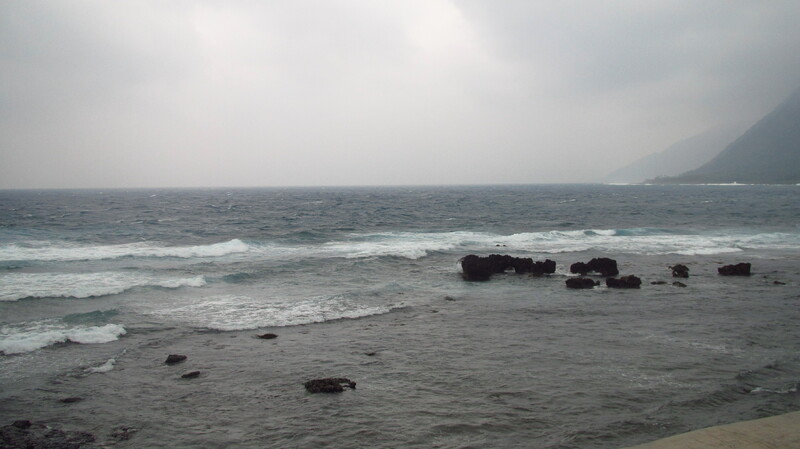 It’s famous for its pristine blue water and waves suitable for surfing. 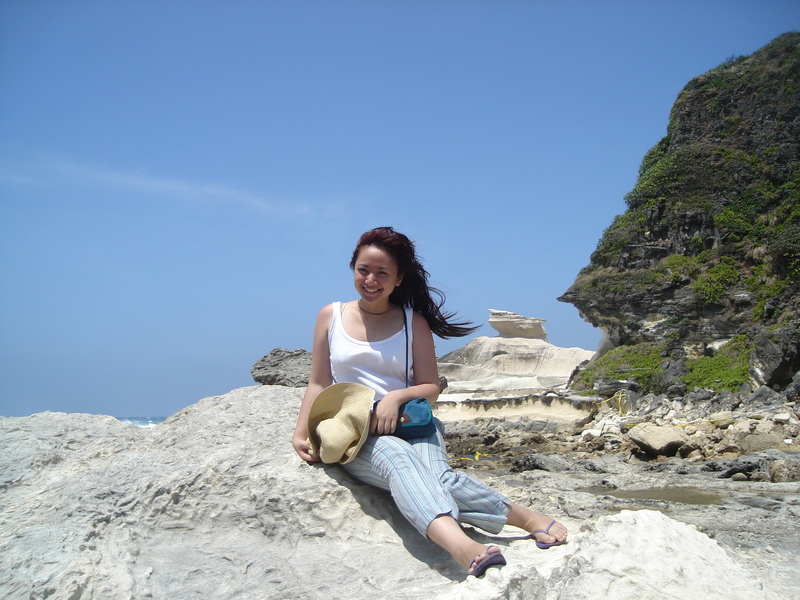 A number of resorts already populated the beach, including one owned by Jericho Rosales (according to my mom). Blue Lagoon is supposedly a picturesque beach but since the weather seemed determined to spoil our day, the drizzle turned to rain as we approached Blue Lagoon. The only bright side at arriving there early (along with the rain), is that we did not have to pay any entrance fee to view the beach. 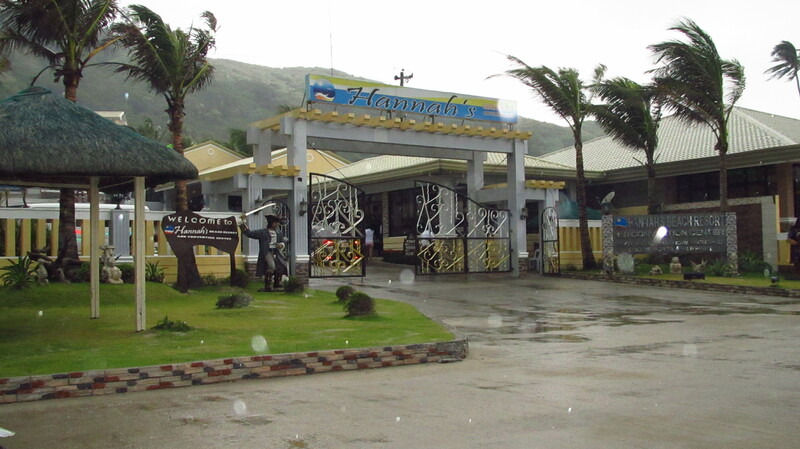 According to Mang Rene, Hannah’s Beach Resort is the biggest resort in this beach. 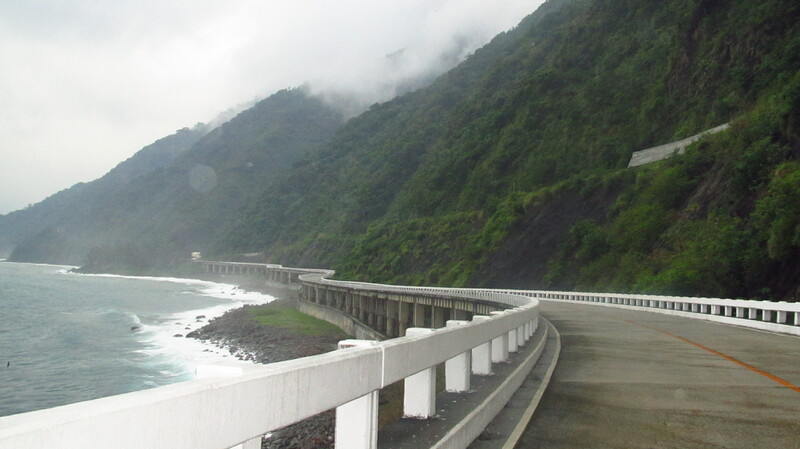 Patapat Viaduct is the bridge constructed above rocky shores, and beside the Cordillera Mountain Range. 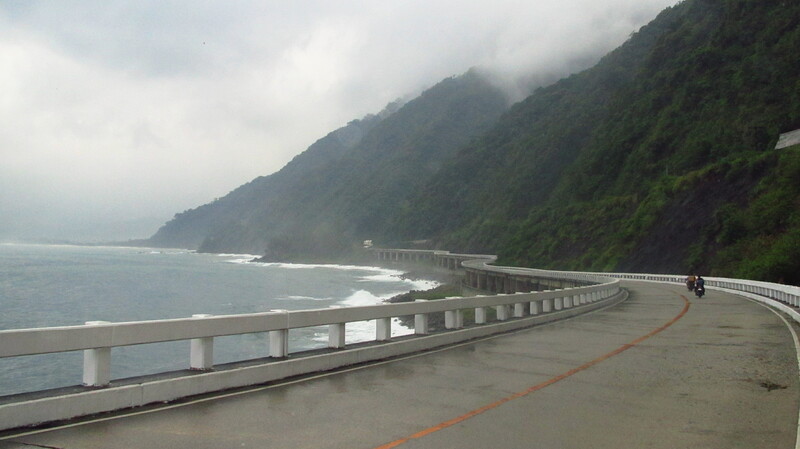 We actually passed this bridge on our way from Cagayan Valley to Ilocos Norte. 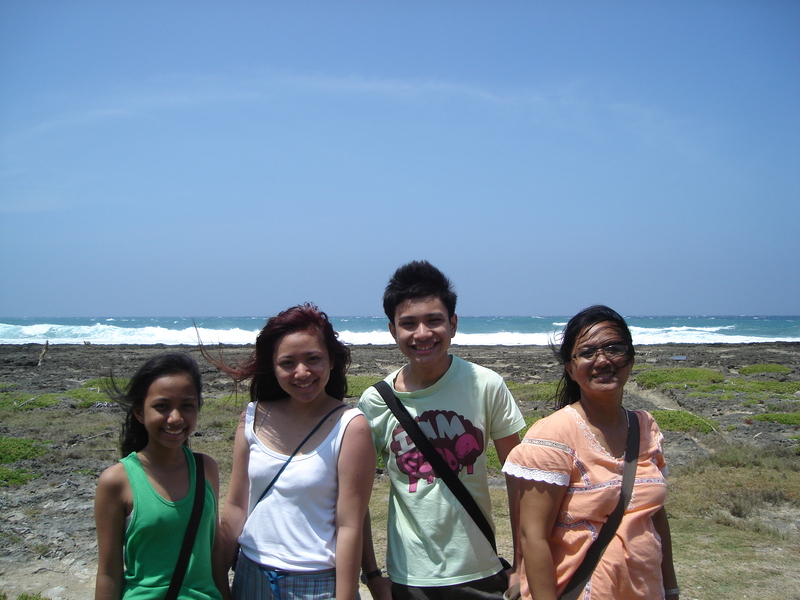 And behind us is the South China Sea. 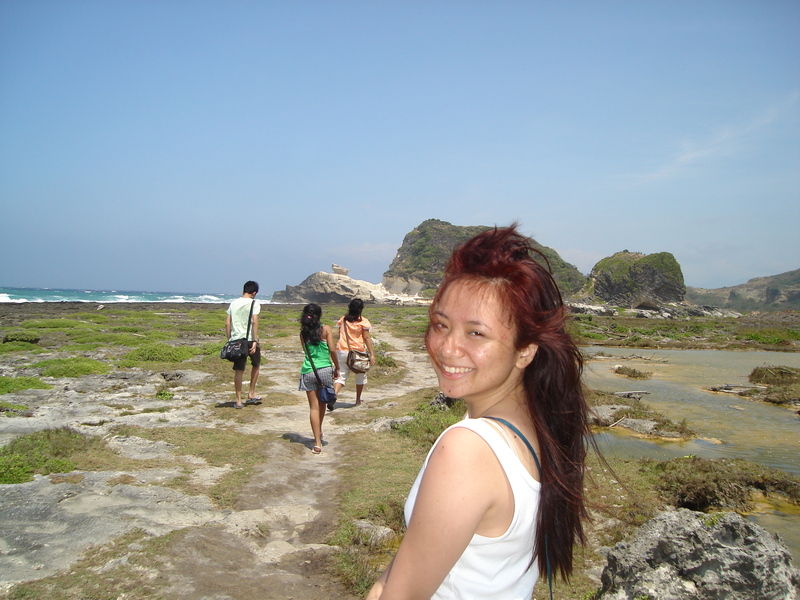 I feel at awe with the fact that I’m literally at the north end of Luzon. 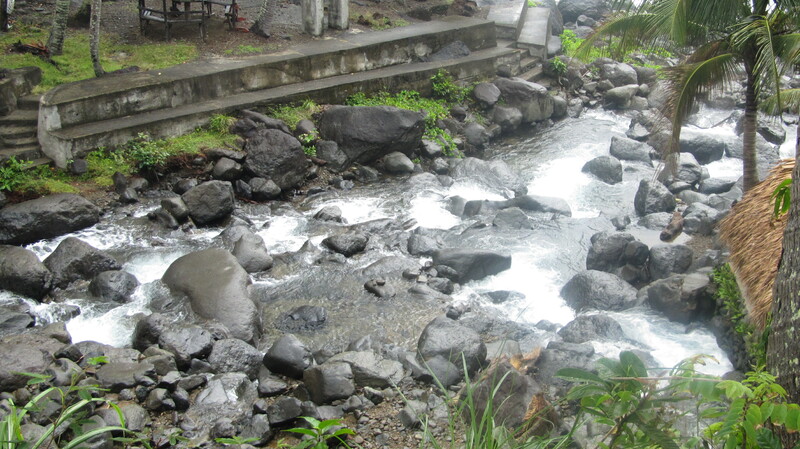 Agua Grande River Park is a mini hydro-electrical power plant that serves as a form of alternative energy. 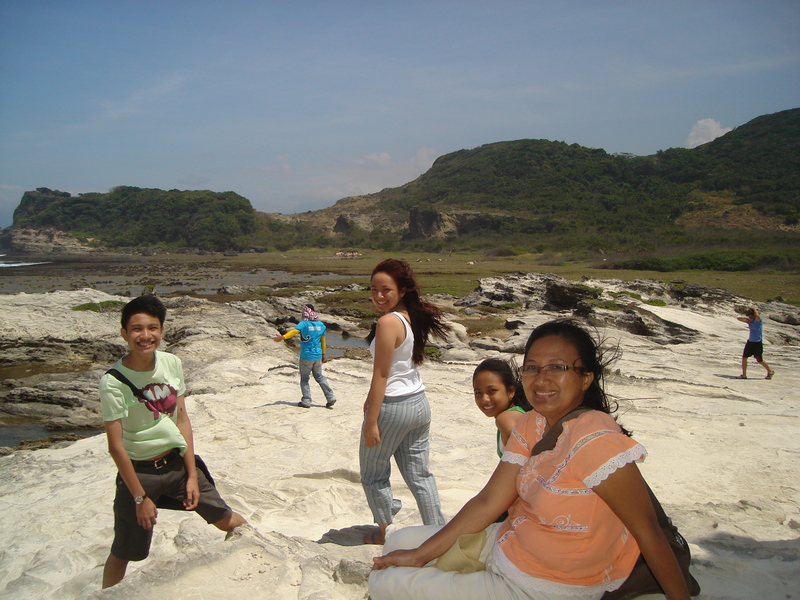 We did not bother inquiring about the entrance fee of the place as the only activity you can do here is have a picnic and take photos. 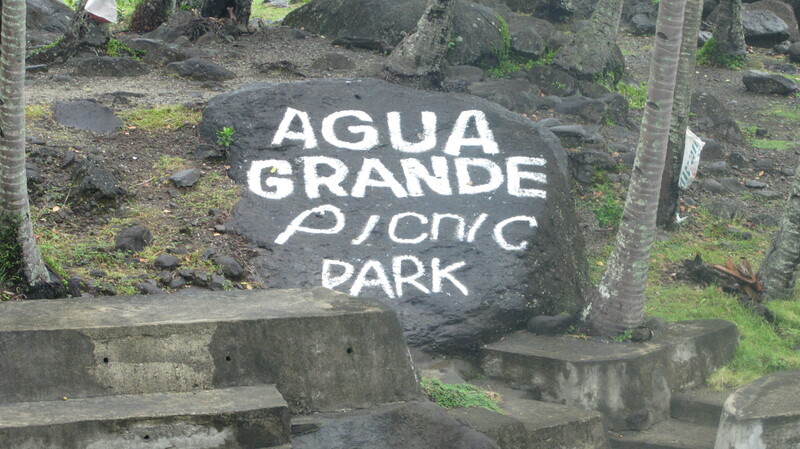 Plus, by simply looking at the snake-filled sign, you cannot pay me enough to go down a snake infested picnic park. Haha! I am not afraid of snakes, mind you, it actually fascinates me. However, I fear an early death and snake venom might pave a way for that (yes, I am paranoid at times). 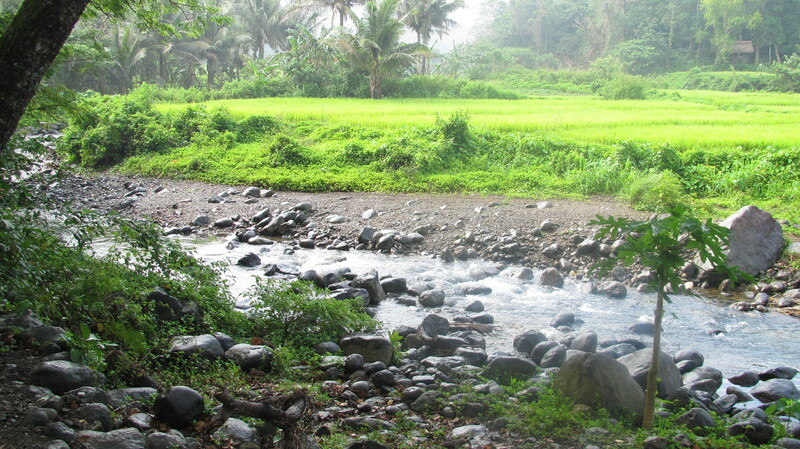 Before heading to Kabigan Falls, we made a stop over in Anton’s Paradise. 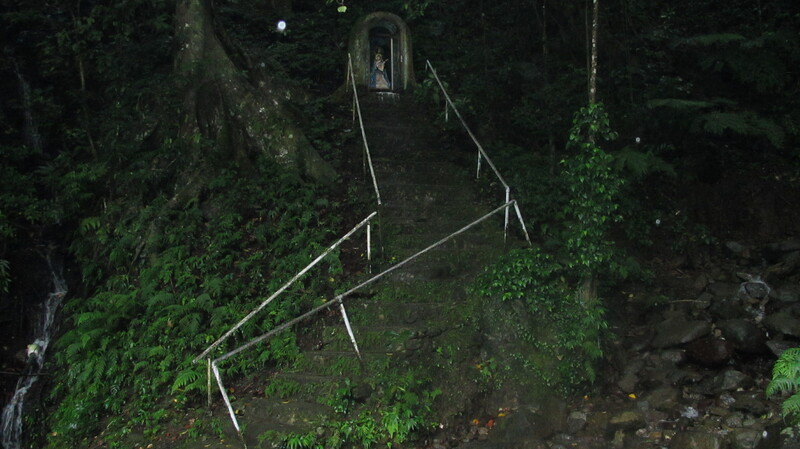 There was a shrine of Mary on top of a staircase, with water flowing straight from the mountains which you can actually drink (gather it before it reaches the pool though), according to Mang Rene. Of course, you’ll have to drink it under your own discretion. For the record, I didn’t do so in fear of diarrhea. Golly, I fear a lot of things, don’t I? Tristan and I soaked our feet in the cold water. 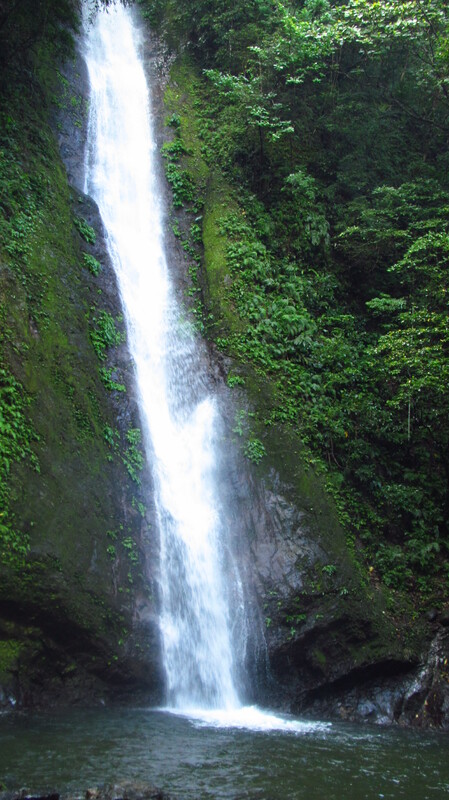 It was so refreshing! 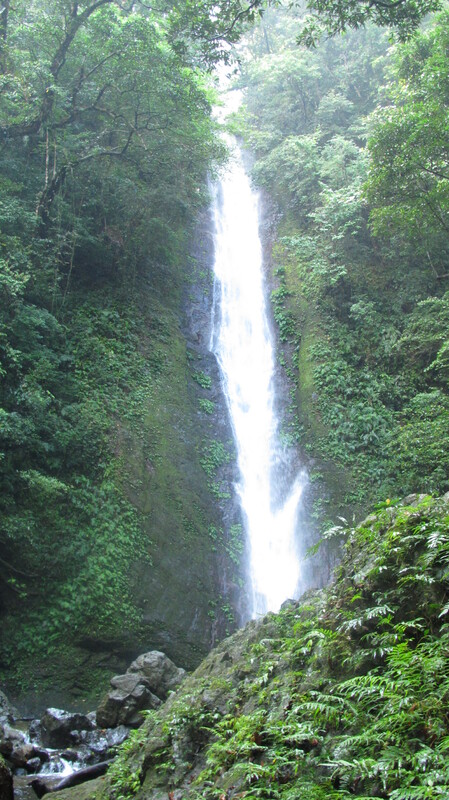 To reach Kabigan Falls, one must walk/trek nearly two kilometers of rough road with a tour guide. 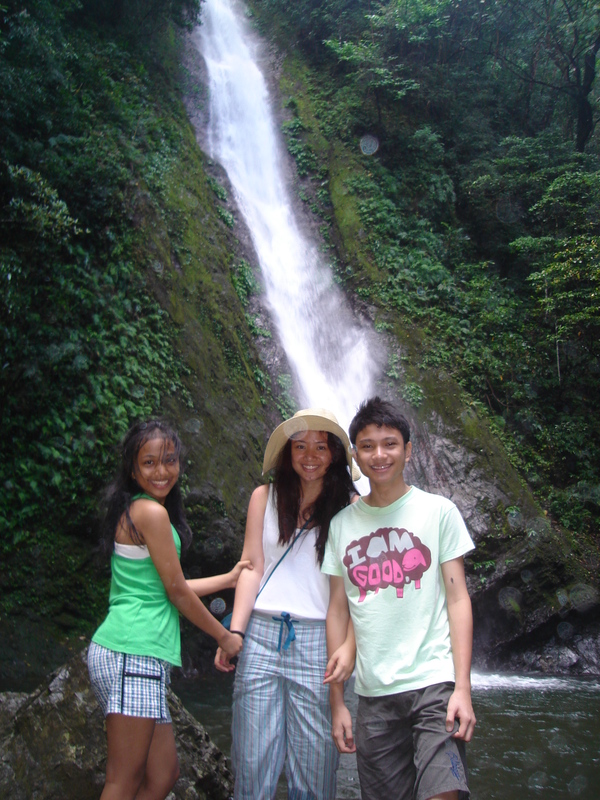 The tour guides in Kabigan Falls actually have a queuing system so that everyone gets equal shifts. According to our guide (I forgot to write down his name), during peak season, he only gets to do a tour two to three times a week, since there were a lot of tour guides. 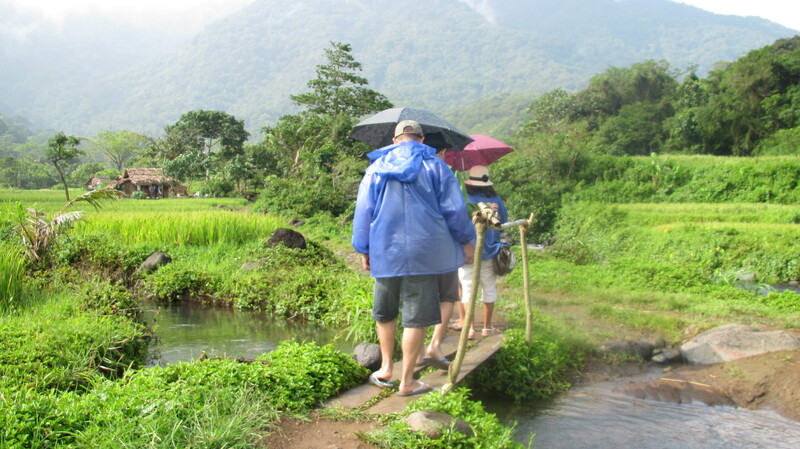 Even with the ongoing drizzle, we could still walk/trek to the falls even if it made the ground wet enough to be muddy. 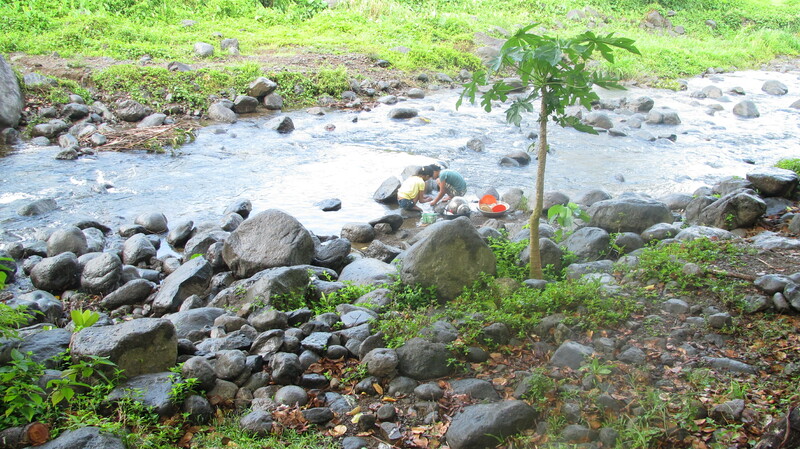 I do live in a province but people washing their things in a stream or a river is a rare sight. 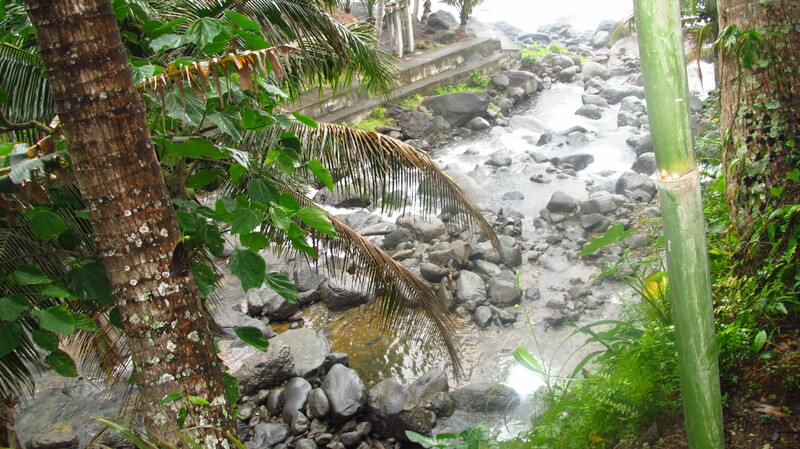 Most of the trees you’ll pass on your way to the falls are marked with signs with information regarding it. 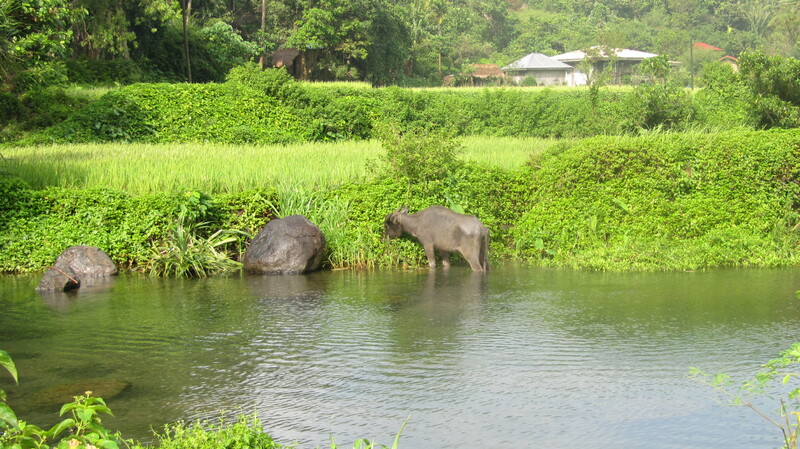 We actually got a chance to see another carabao up close led by a farmer, on our way back to the tricycle. 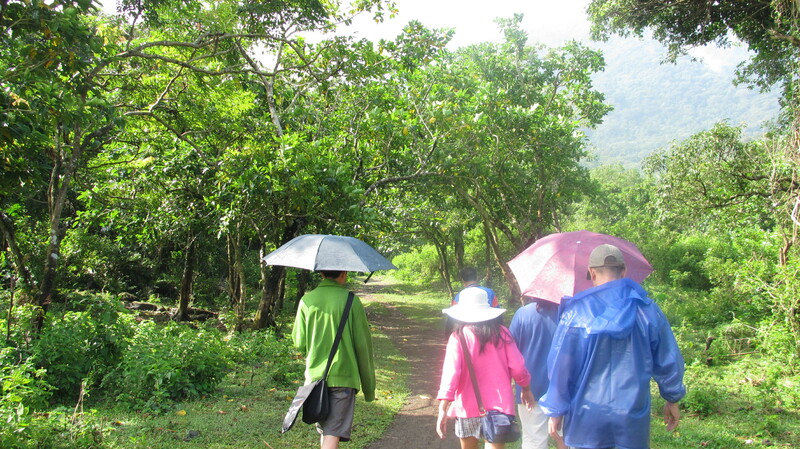 The weather started to get confusing as it was drizzling, even with the sun glaring down at us. 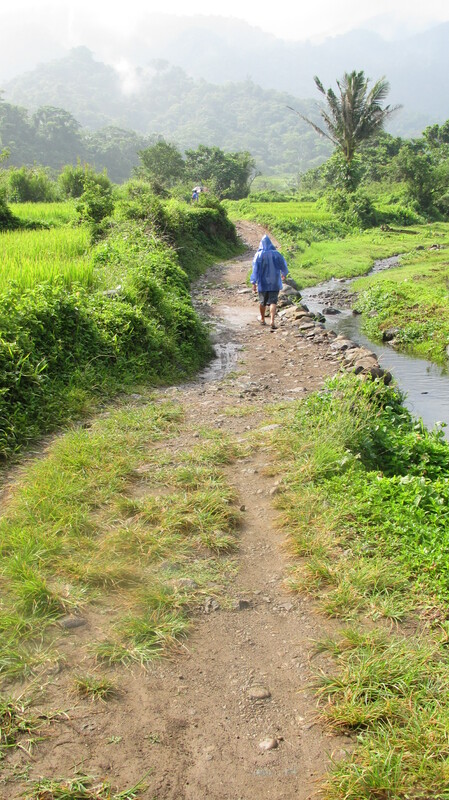 At this point, we have only walked less than 500 meters. I was lagging behind as I was trying to capture a lot of photos. 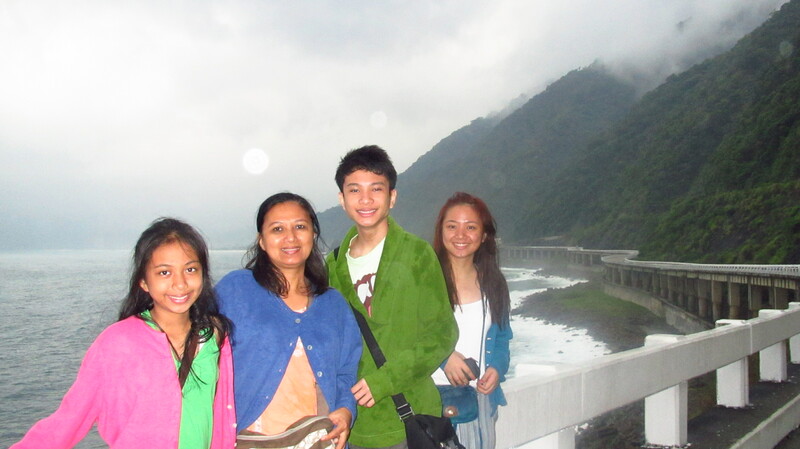 Mom, the siblings, and the tour guide are mostly unseen in this photo. 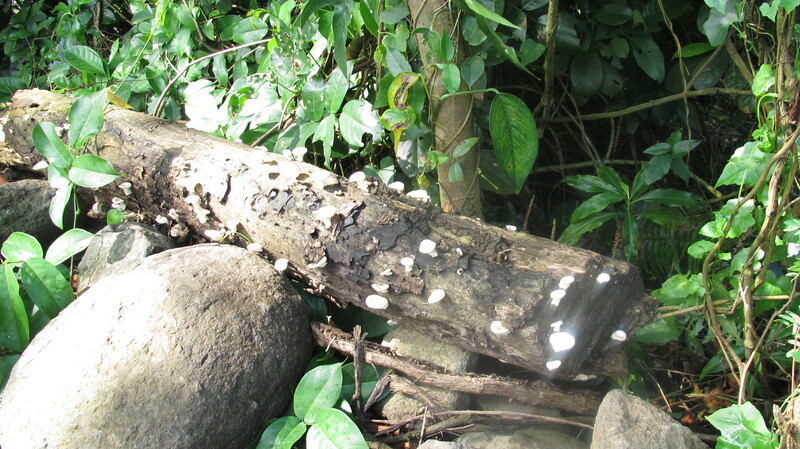 The tour guide also taught my sister how to get mushrooms from the wood, however, the mushrooms here are still little. We were informed that mushrooms only need a few days to grow and by the next day, it would have already grown to its biggest size. 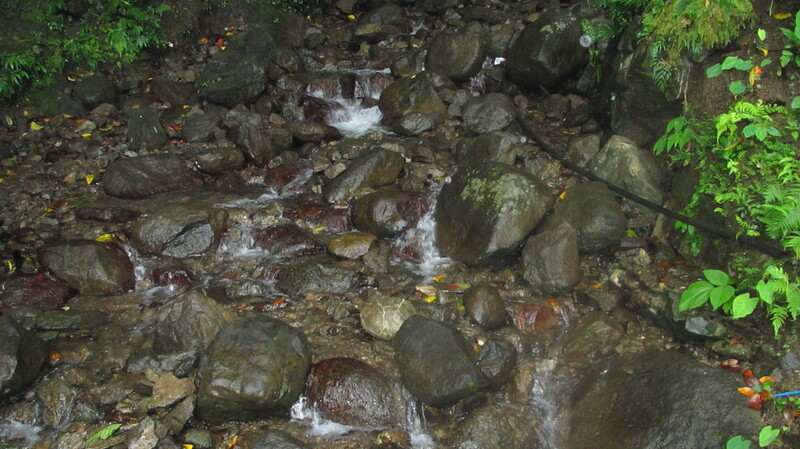 Behold, the Kabigan Falls. Luckily, we almost had the whole place to ourselves. 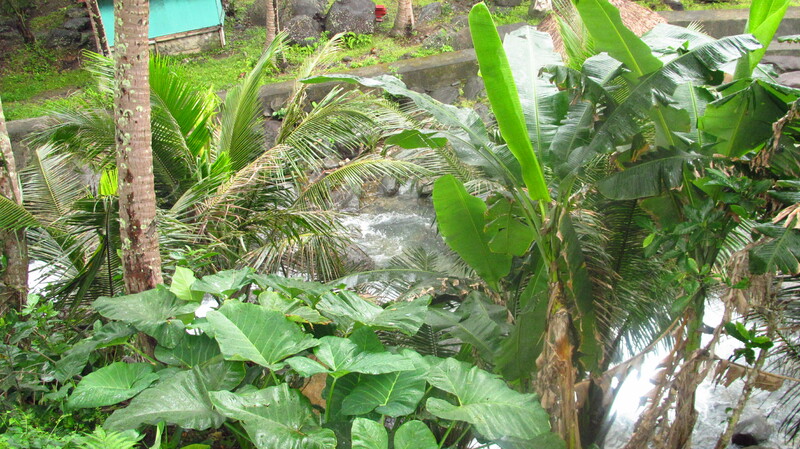 The only other tourists around was a small family of four, swimming under the falls. 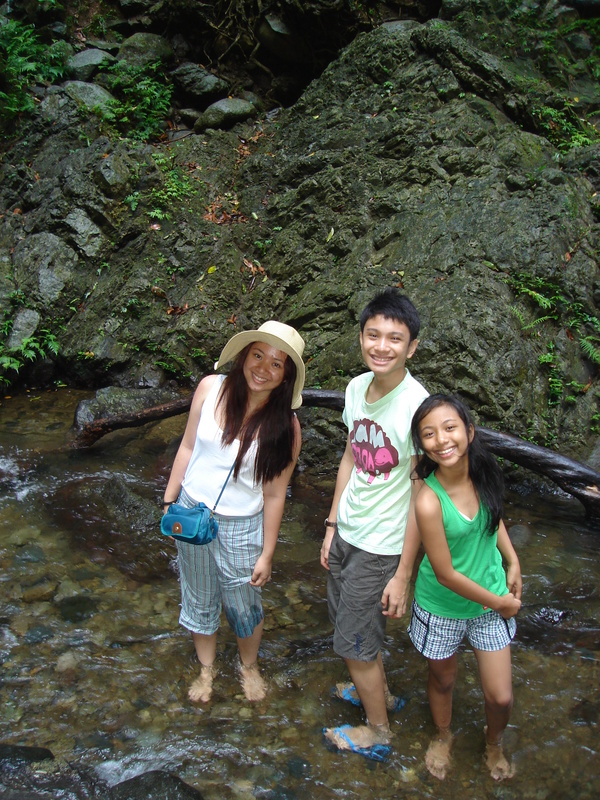 Me, together with the siblings, went down and took a dip in a shallow area. 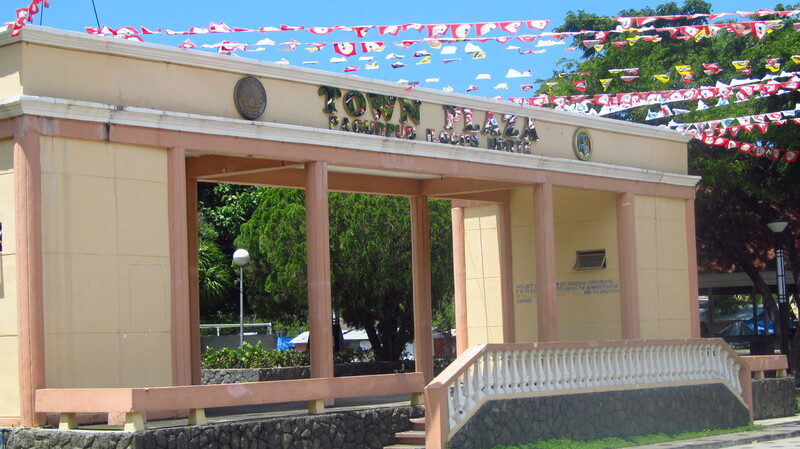 After the tiring Kabigan Falls trip, Mang Rene, and Mang Windel brought us to the Town Capitol for lunch. 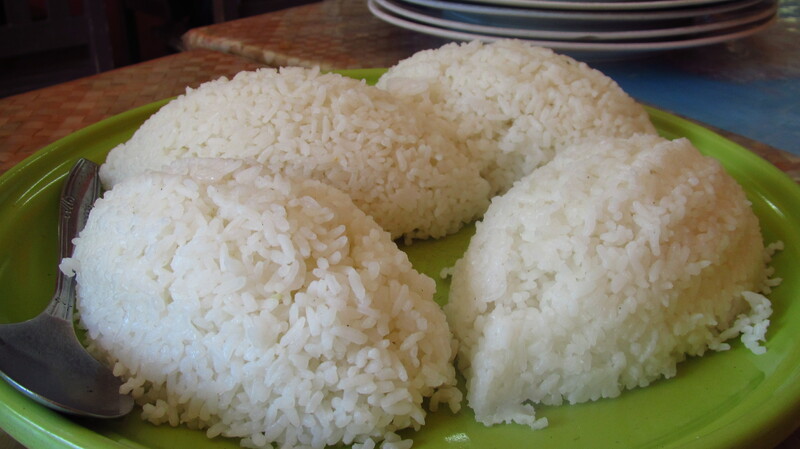 As usual, I was too hungry to take food photos and the only photo I ever got is the rice. Haha! 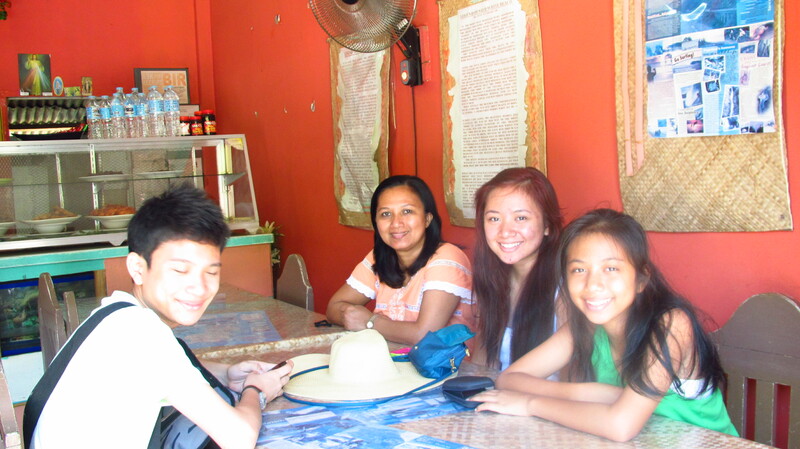 After eating, Mang Rene pointed the direction of the Town Plaza and we walked there. 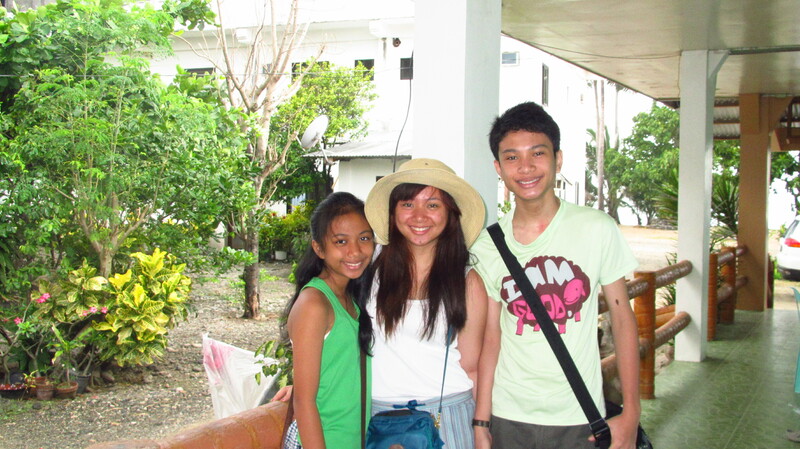 Mang Rene and Mang Windel followed with the tricycle and our things in it. 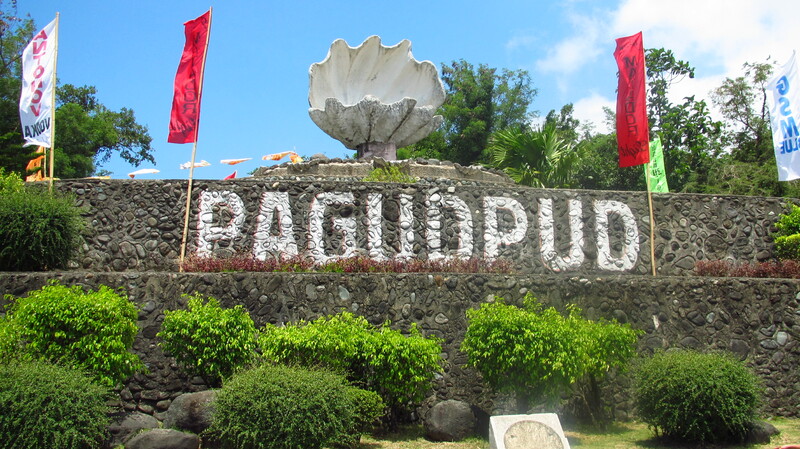 Before heading to our next destination, Mang Rene made a stopover at the huge Pagudpud sign with a clam. 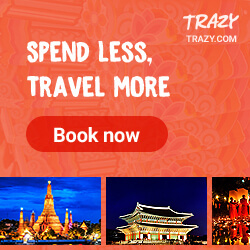 We weren’t even aware this exists as I haven’t seen a travel blog with a photo of it. 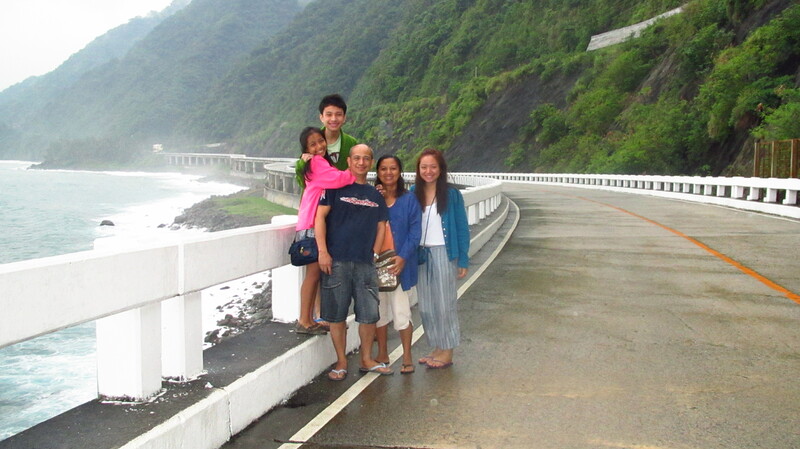 This shot was hilarious since Mang Rene stood in the middle of the road to take a nice photo of us, and suddenly a bus drove by. Fortunately, he’s still alive and breathing! 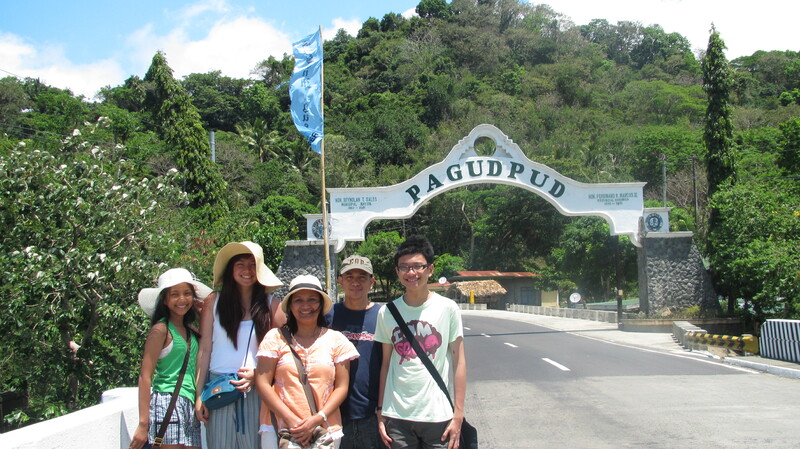 We also made another stopover in a bridge for another tourist photo with the welcome arch of Pagudpud. 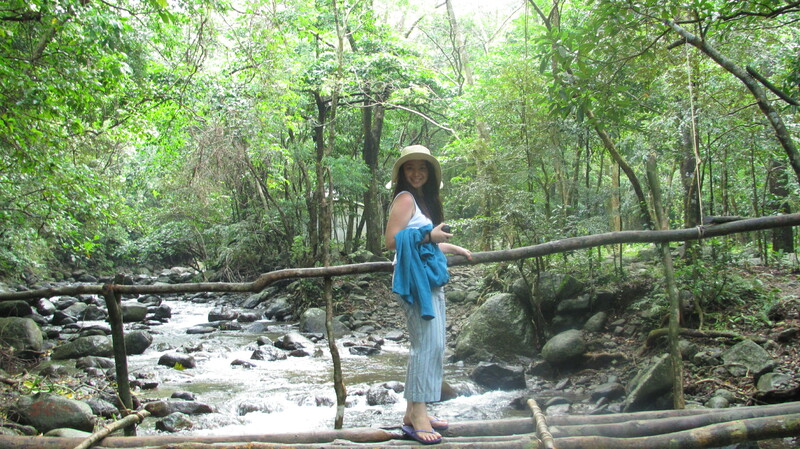 We even chanced upon children climbing up the bridge to jump off it and straight to the water. 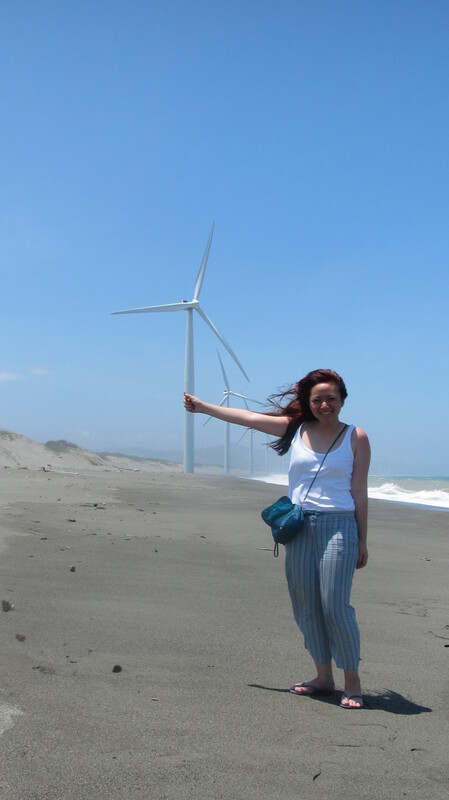 Aside from the mini hydro-electric power plant in Agua Grande, another source for alternative energy in Ilocos is the windmills. 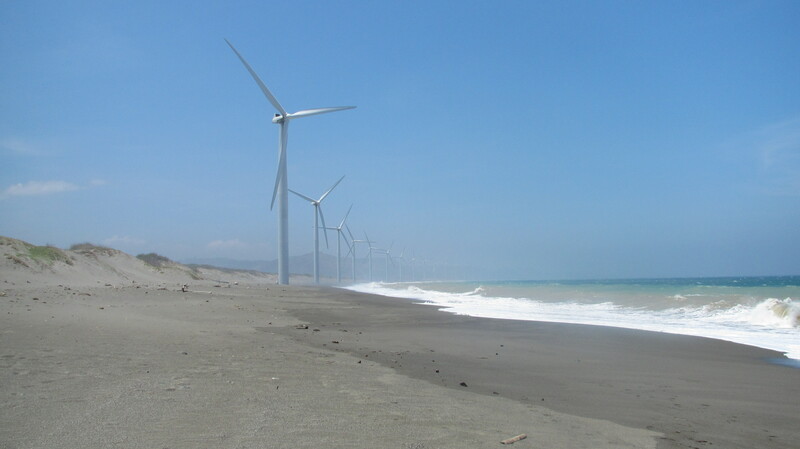 It is a series of windmills places on the shore and it is so effective that Mang Rene’s electric bill amounts to only around Php 100! 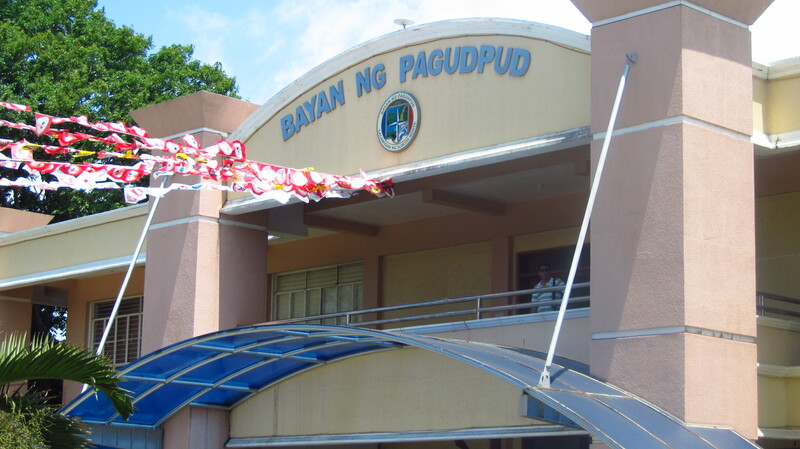 Pagudpud is a surfer haven. Almost all the beaches we’ve visited exhibited huge waves. It doesn’t look like it’s windy, but it is. 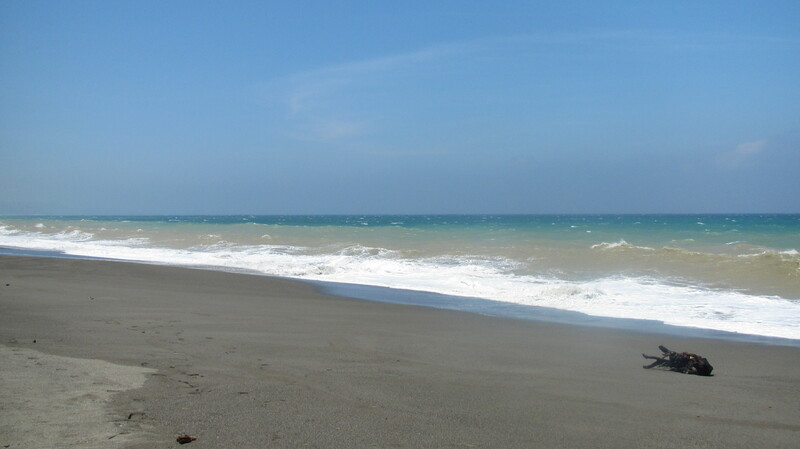 It feels like the wind is pushing you, and walking towards and along the shore will hurt your legs as the wind is strong enough to whip your body with sand. You won’t even be able to see the sand hitting your legs with your naked eye, but you’ll feel it for sure. Fortunately, I decided on “pants” instead of the dress that I was supposed to wear. 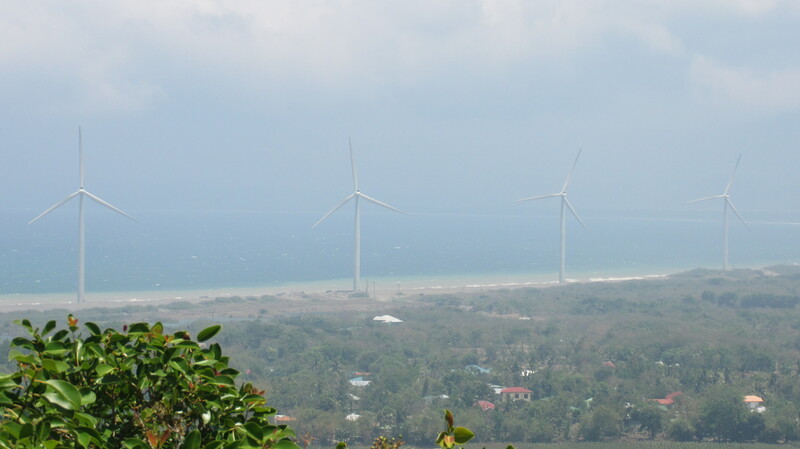 The windmills may look thin, but it’s huge. 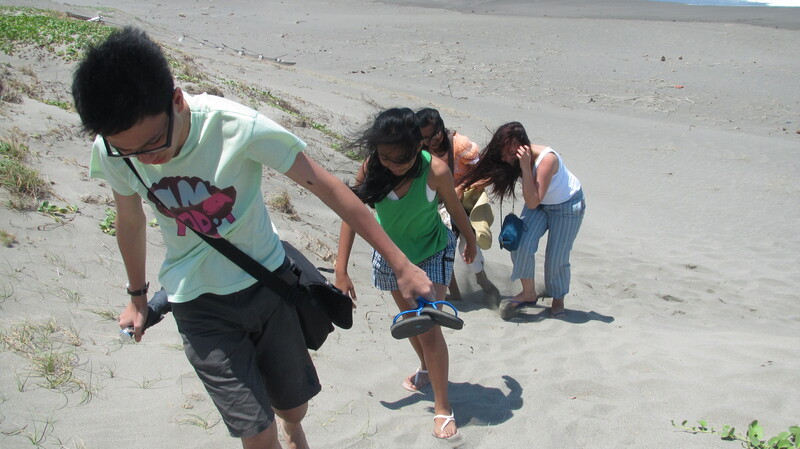 Fine sand and steep slopes do not go well together. Mom and I had an awfully hard time trying to get back up since we kept on sliding back! 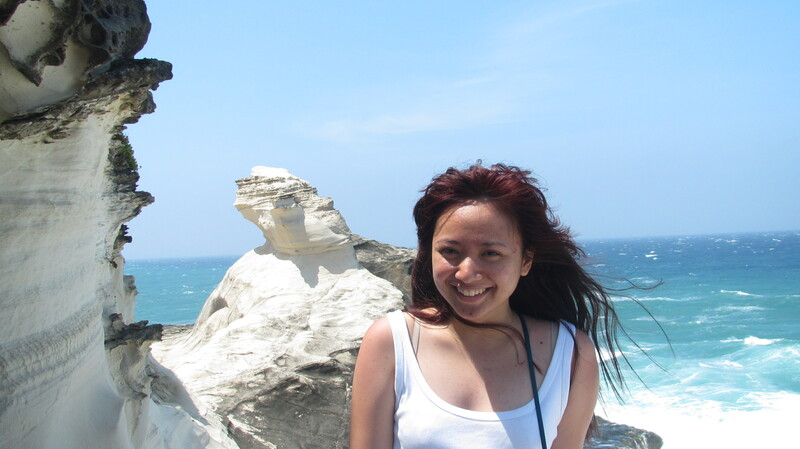 I have thick and heavy hair, but still, the wind managed to blow it all away. 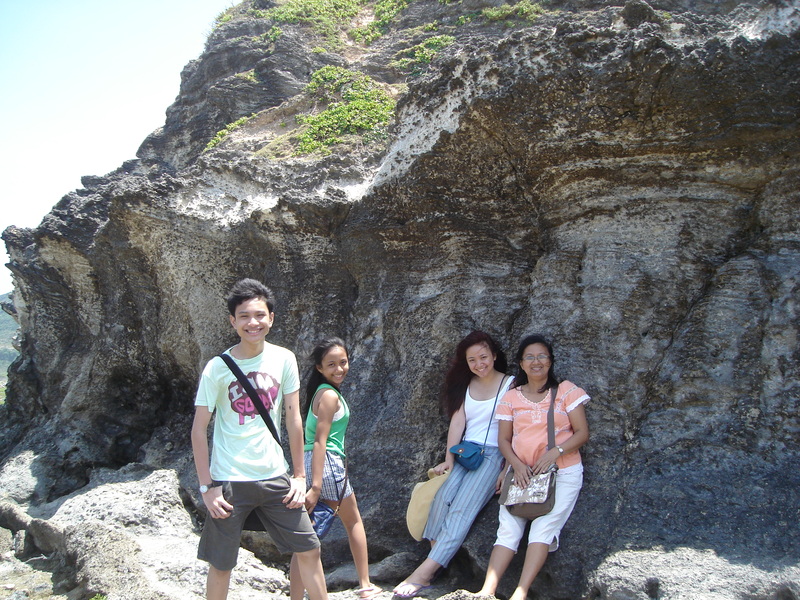 Another stopover prior to Kapurpurawan Rock Formation is Bangui Point. 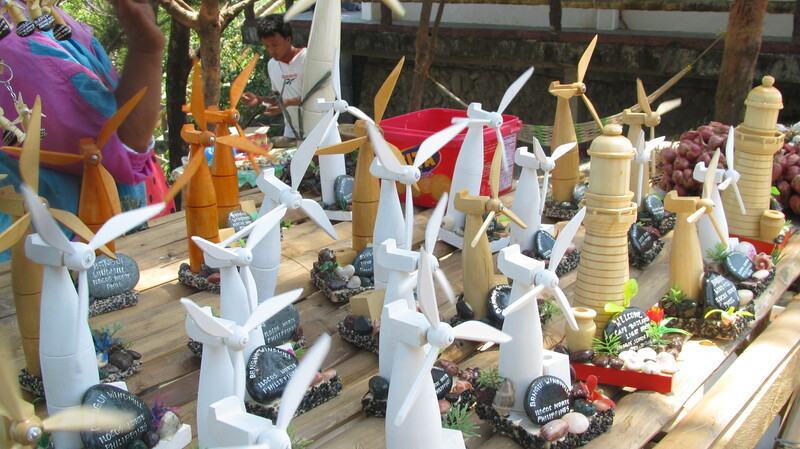 A lot of souvenirs can be bought here, from fridge magnets to miniature windmills and lighthouses. For the best view, you’d have to go down a hill (of some sort). 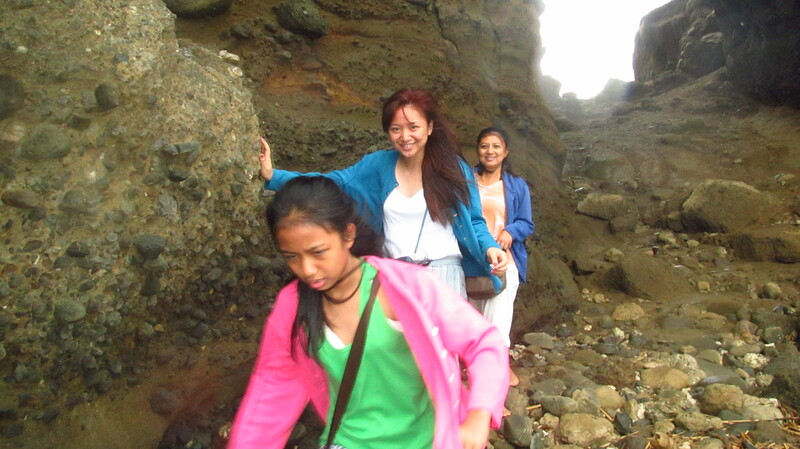 Mom wasn’t up for it, hence, we didn’t go down. 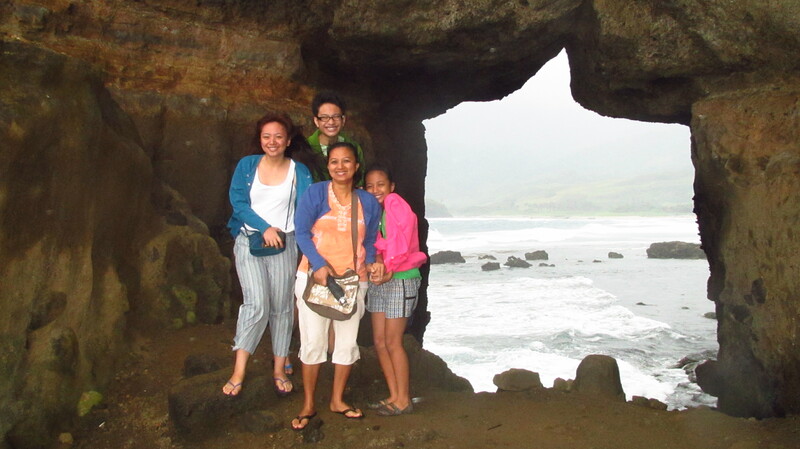 If there was a “highlight” of our Pagudpud tour, this is it for me. As I have learned throughout the day, the wind here is unforgiving. If you have long hair like I do, better tie it up if you don’t want messy hair in photos. I did not get to tie it up as my hair got so tangled I can’t manage it. All I was able to do is make it look okay, even if it already got dry and unmanageable. 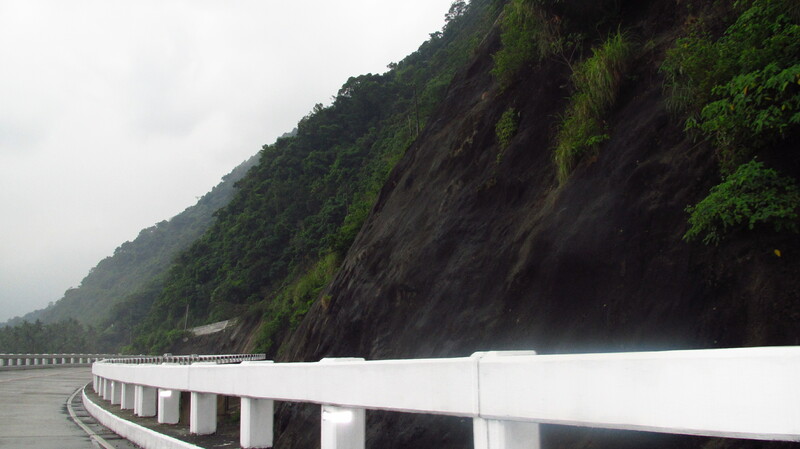 In order to get to the rock formation, you’d have to walk around two kilometers. We had a lucky streak here, as there were only one other group of tourists when we got there. 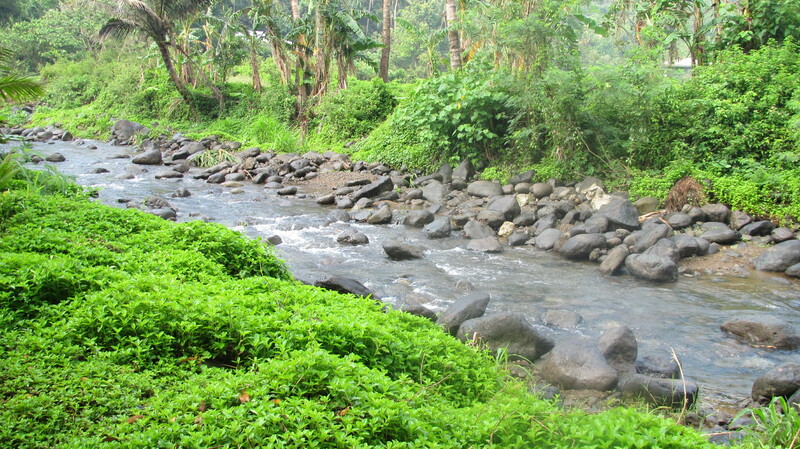 And similar to what happened to Kabigan Falls, on our way back, lots of tourists started swarming all over the place. 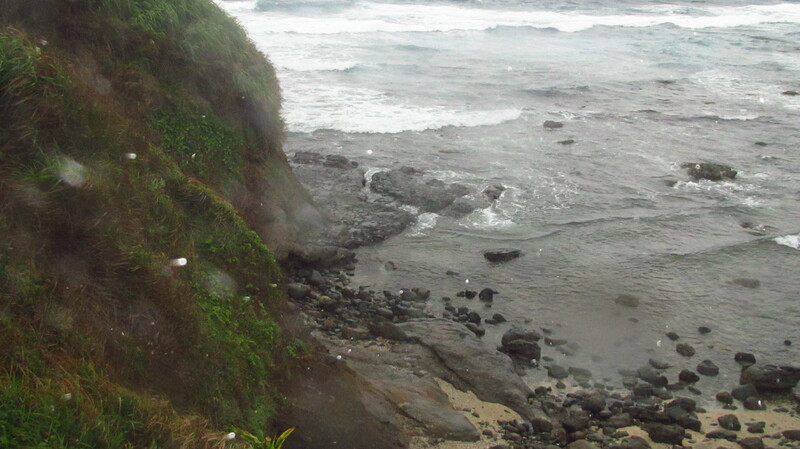 Huge waves crash onto the shore. 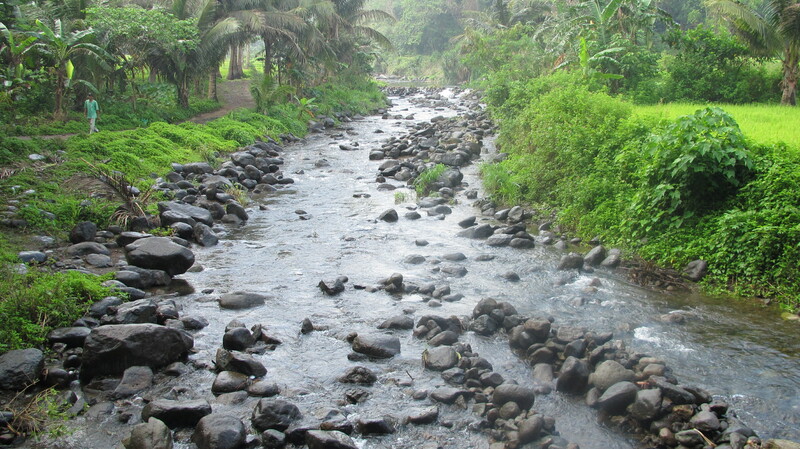 If you get here late in the afternoon, you will be advised to not push through since the water level tends to reach high levels. 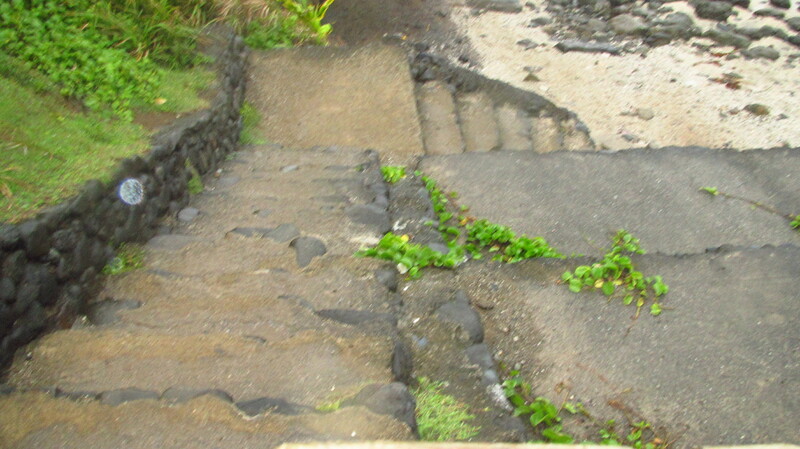 There were a number of yellow flags for safe paths towards the rock formation. One of the people who manages that place helped us cross. 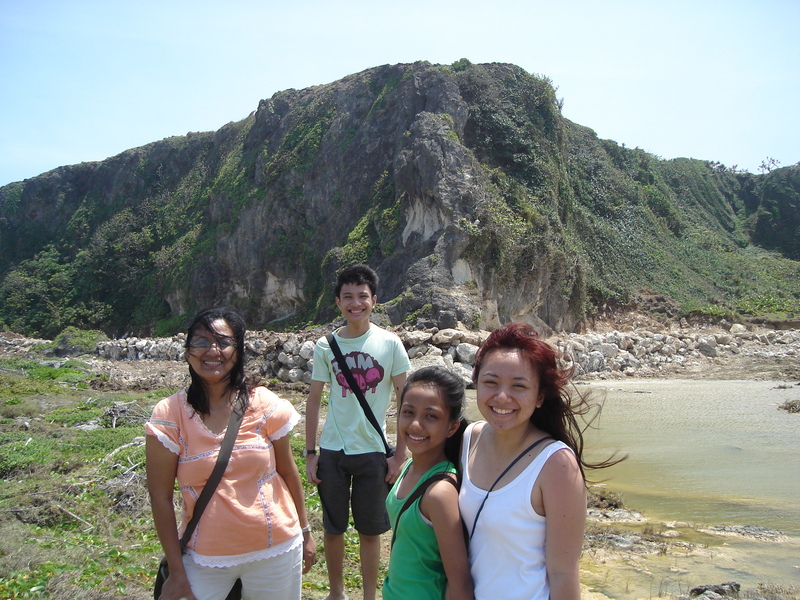 He also volunteered to take our photos with the rock formation. 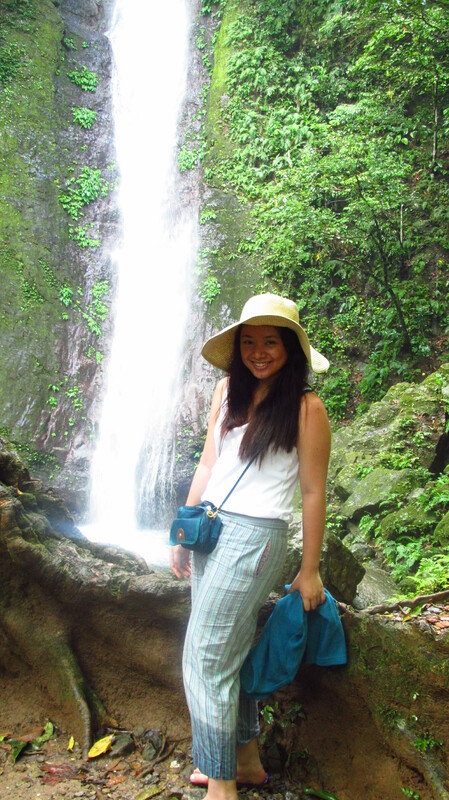 I can’t believe how lucky we were that there were only a few tourists with us! 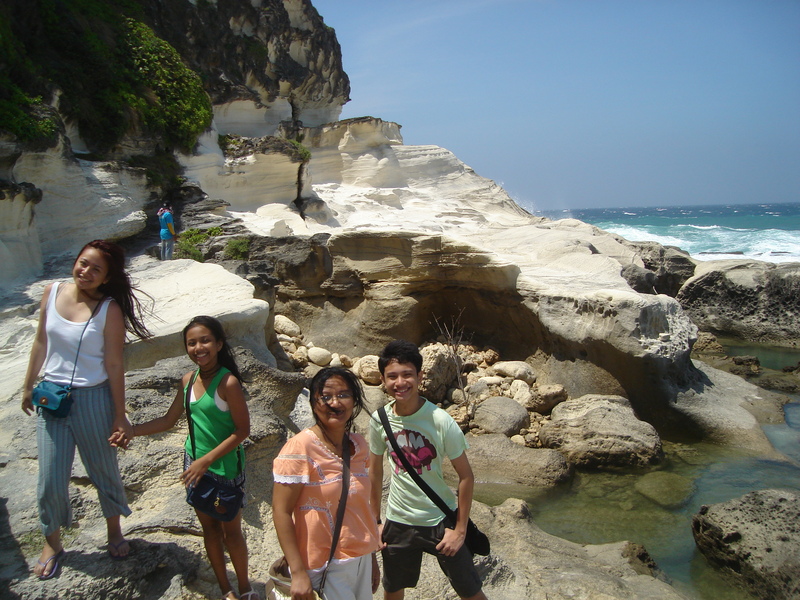 Once tourists started appearing, the rock became so crowded. 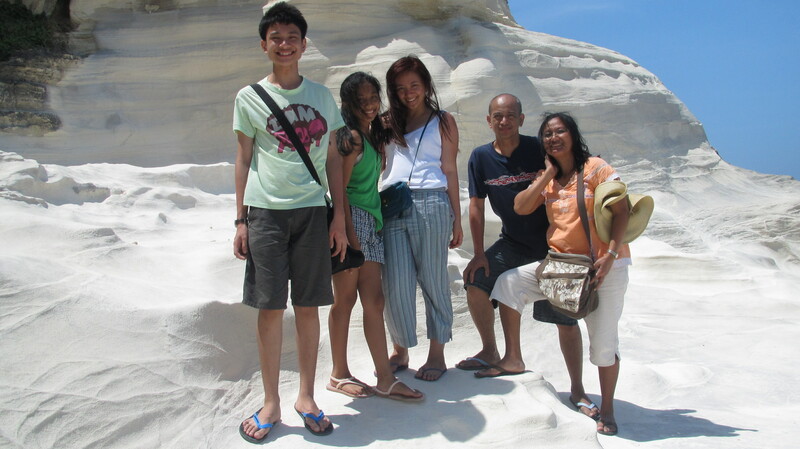 Here we are, standing in a limestone formation. 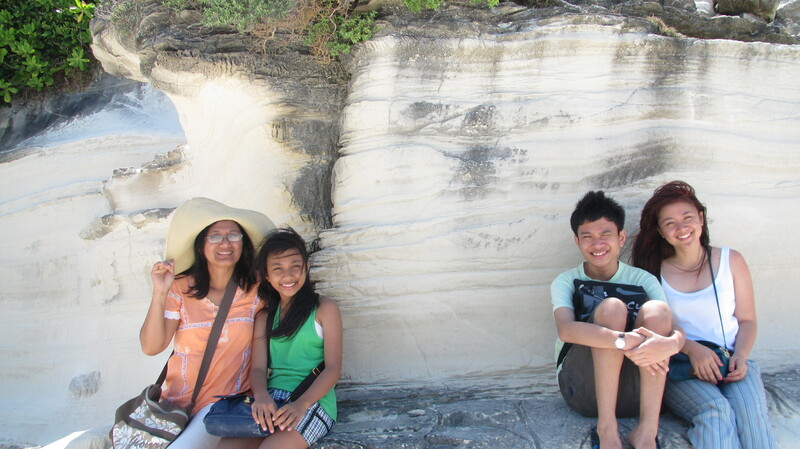 Even under the scorching heat of the sun, the formation still felt cool. However, the texture becomes powdery when rubbed. Hence, the management marked some places people aren’t allowed to go to anymore to avoid people falling from it if ever the rock gives away. Dad and I went ahead and climbed the top. 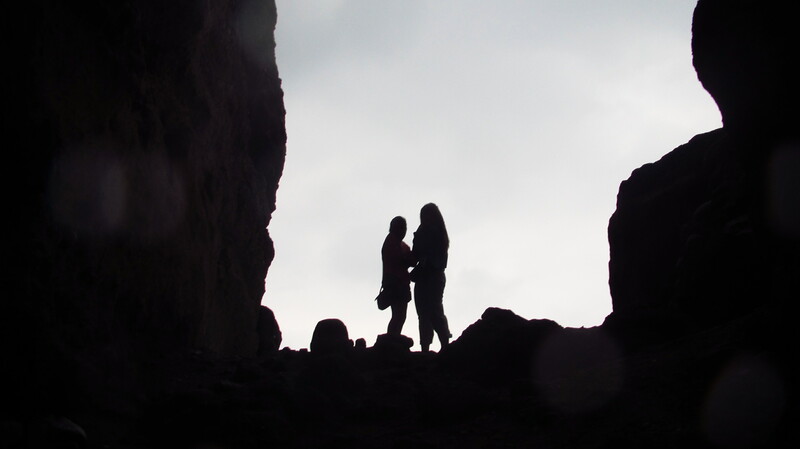 The way was nerve-wracking (I had to hold on to sharp rock/surface or I’ll fall, since the space to walk in is minimal) but the view is priceless. We felt sad that there were some people who wouldn’t even bother throwing their trash on the trash cans available (we saw two, on near the rock formation and the other near the stairs). I am thankful my parents trained us to keep our trash in our bags until we get to a proper trash bin. 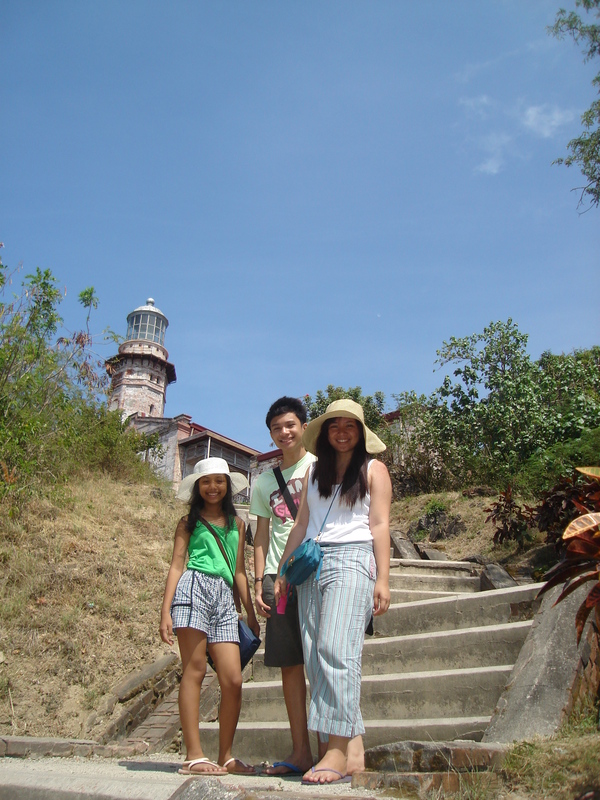 Our last stop is the lighthouse! I was excited for this one, coming from the amazing Kapurpurawan experience. I expected something similar to the Capones Lighthouse. Oh look, I finally got to brush my hair! 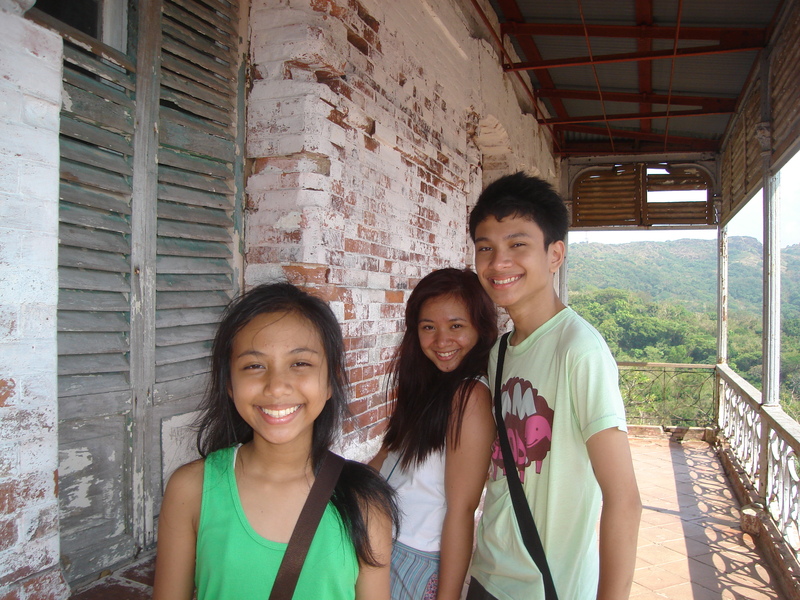 I did so while climbing the stairs leading to the lighthouse. 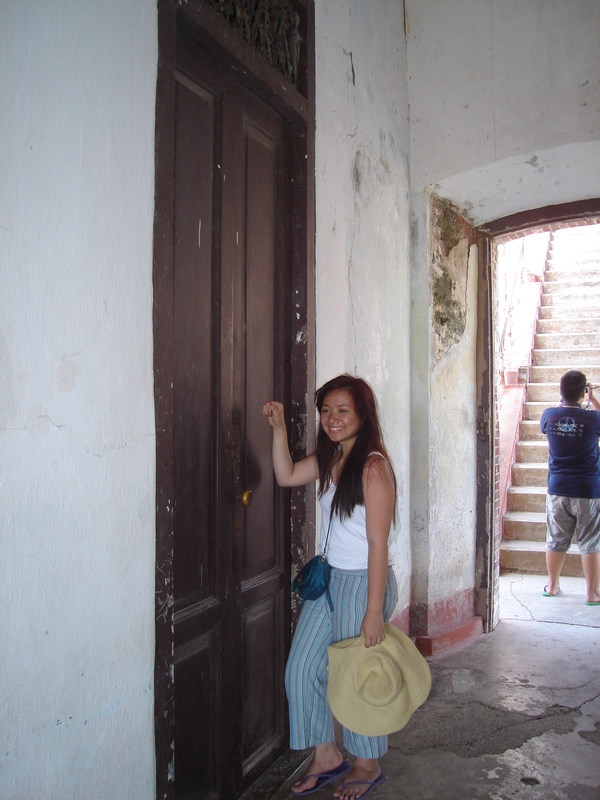 At the gates of the lighthouse. 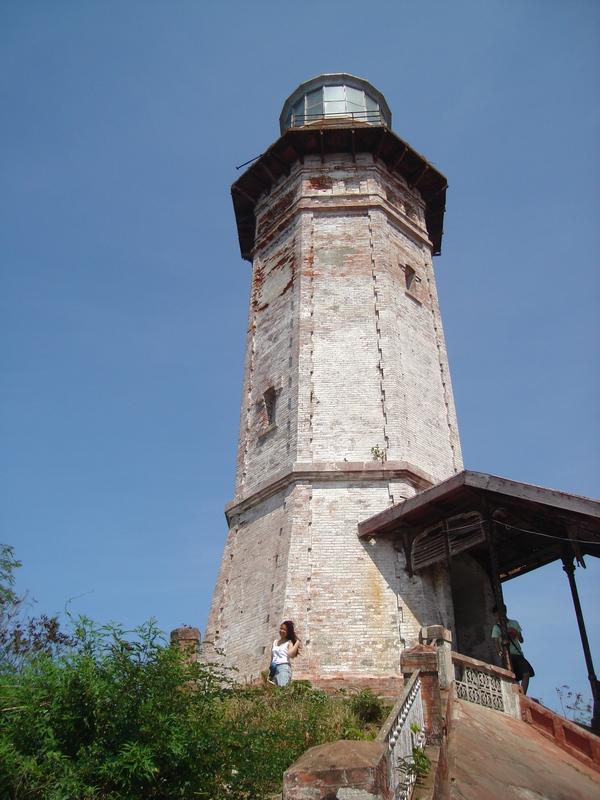 I wonder why most lighthouses seem like an appropriate setting for a horror movie (or an episode of Supernatural). 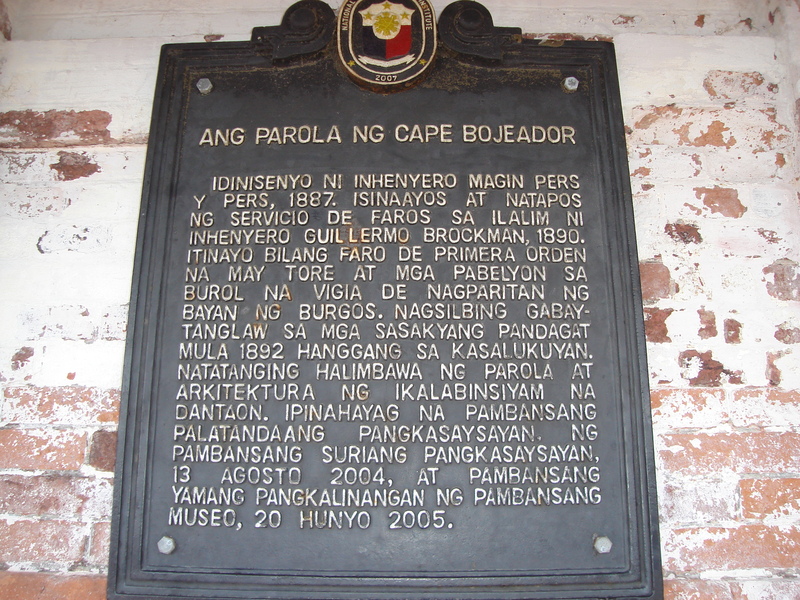 But no, it wasn’t the Capones Lighthouse experience due to the fact that no one is allowed to enter the lighthouse. I almost regretted going up the stairs since I was so tensed while going down. 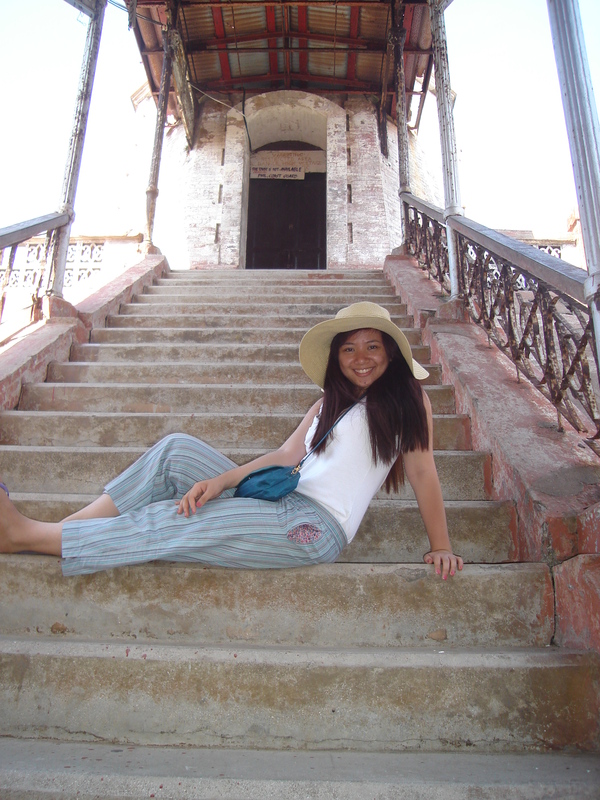 The handrails were too low for me to reach, the stairs too steep, and the wind seems to want to push me down the stairs. 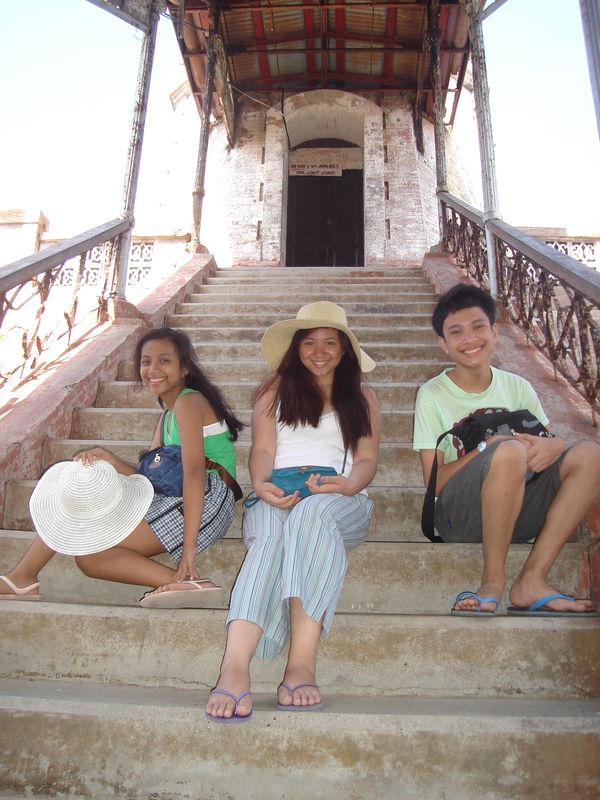 To make up for the fact that we won’t have any lighthouse adventure, we took lots of photos around the place.